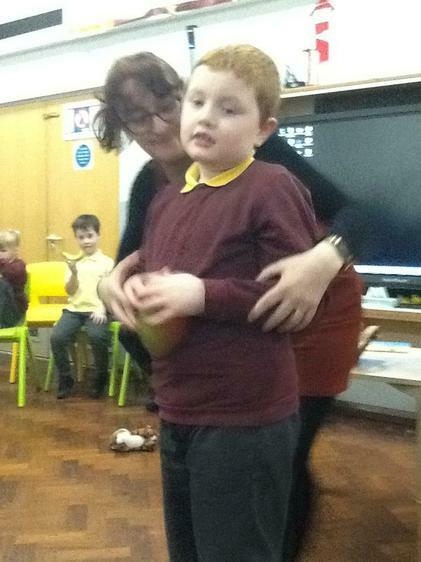 Jaguar Class is a class for children with Autism who are Upper Key Stage 1 and Lower Key Stage 2. 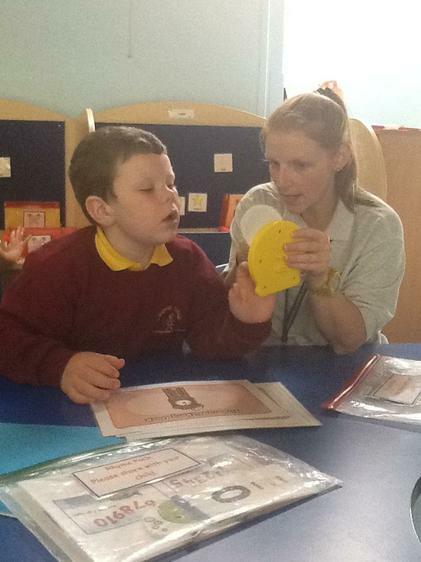 The class uses the TEACHH approach to help the children develop their independence and to consolidate their learning. 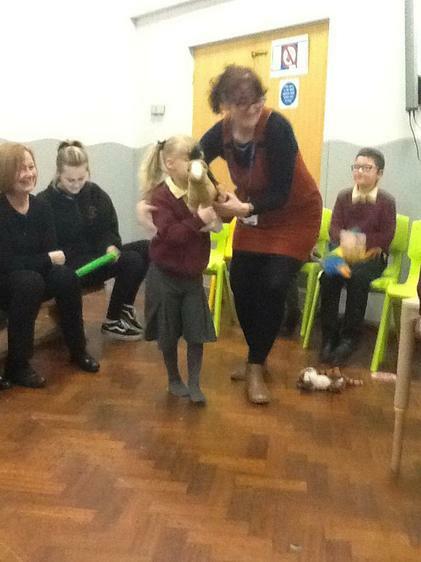 The class staff are Janis Moore, Class Teacher and the Teaching Assistants are Kyra and Helen and Grace, our Apprentice as well as Annette, HLTA for South America. We will update this page weekly so keep checking. We hope that you all had a good break and made lots of good memories. 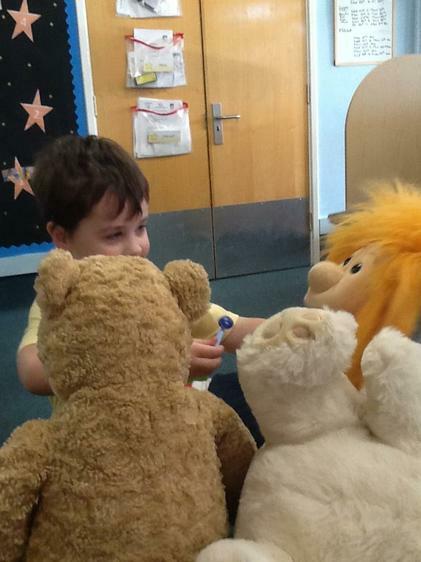 Our topic this term is Stories. Here is our topic web for the term. 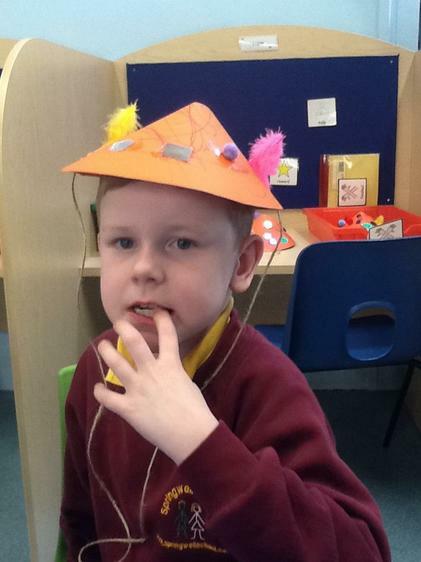 Literacy- our story is The Three Little Pigs. 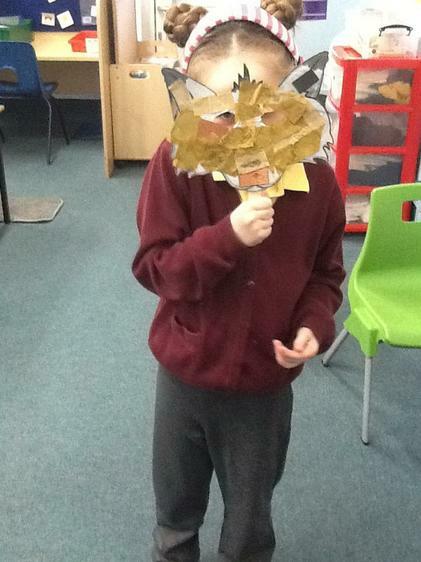 We are using props to act out the story, making Wanted posters for the Big Bad Wolf. Letters and Sounds - we are working on our listening and attention skills and some letter sounds as well as working on our blending and reading skills. 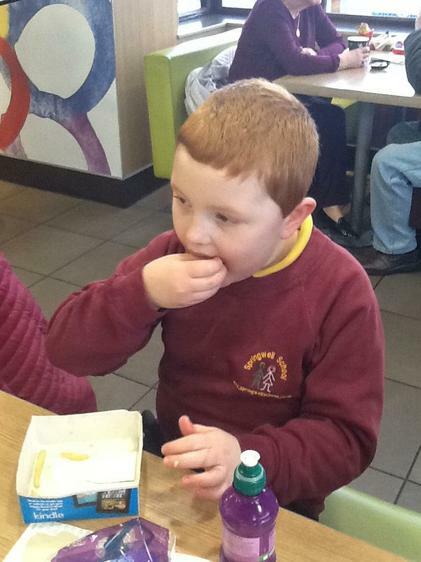 Maths - we are working on counting and ordering numbers to 5/10/20 and beyond. 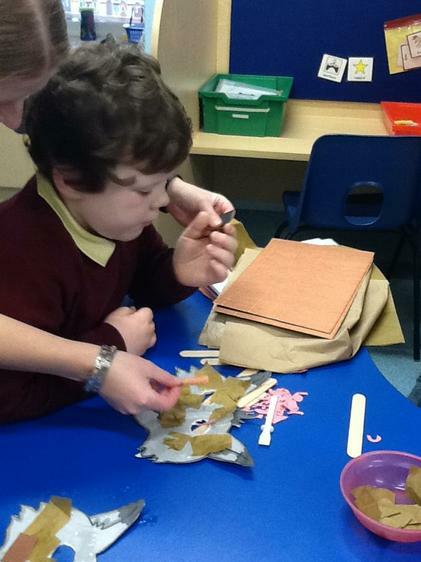 DT - We are making Three Little Pig finger puppets and working on our cutting skills. 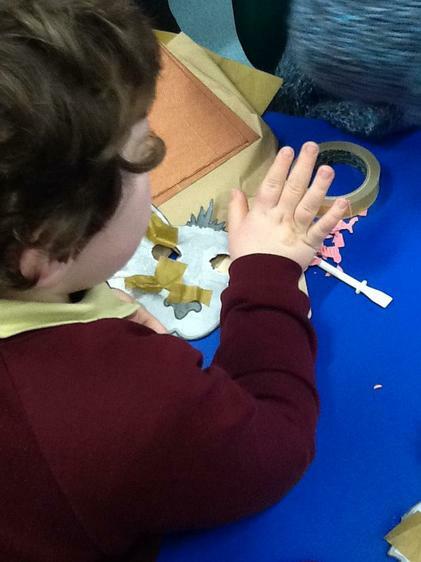 Music - We are using our finger puppets to join in with the Little Pig songs. 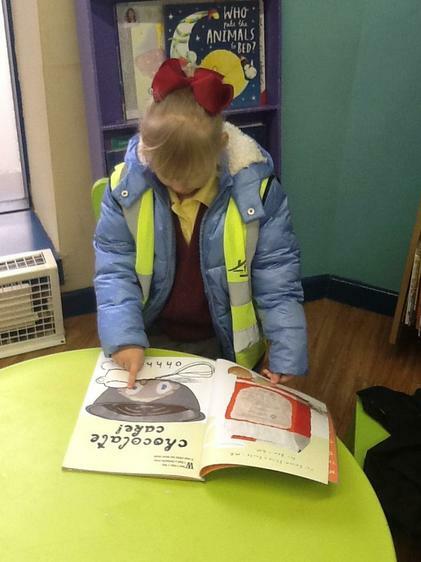 Bus- we are going to visit the library in town to share some stories. Science - learning about houses and things we find in our houses and we are also beginning some work on electricity. 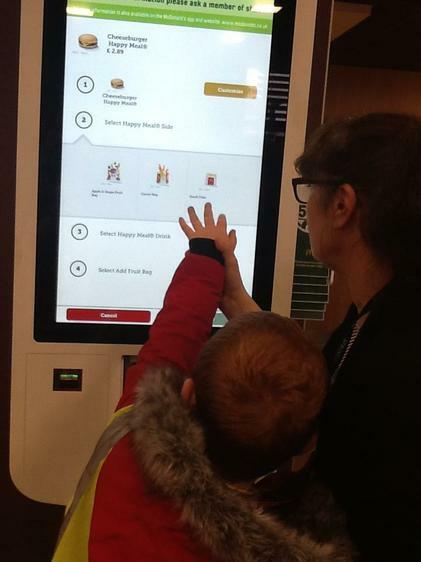 The children will be making toast with adult support and looking at the changes in the bread and what made the toaster work. Please check the websites for updates. 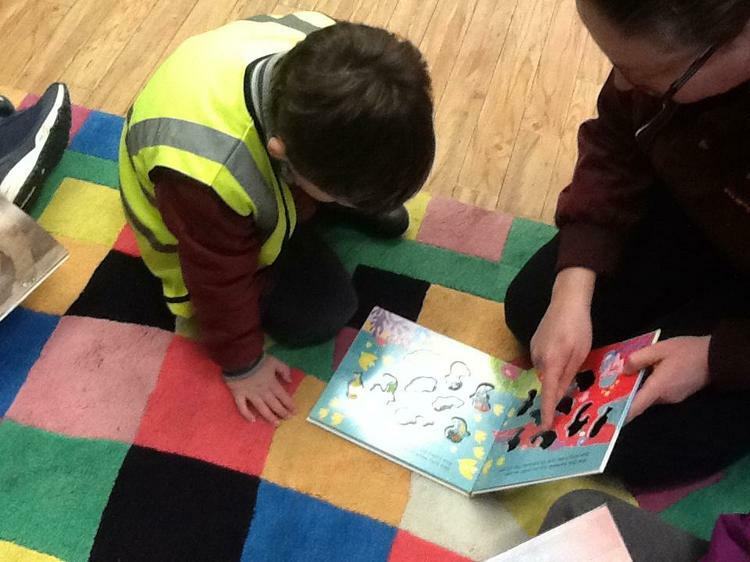 Visit to the Town Library on Wednesday 9th January 2019. 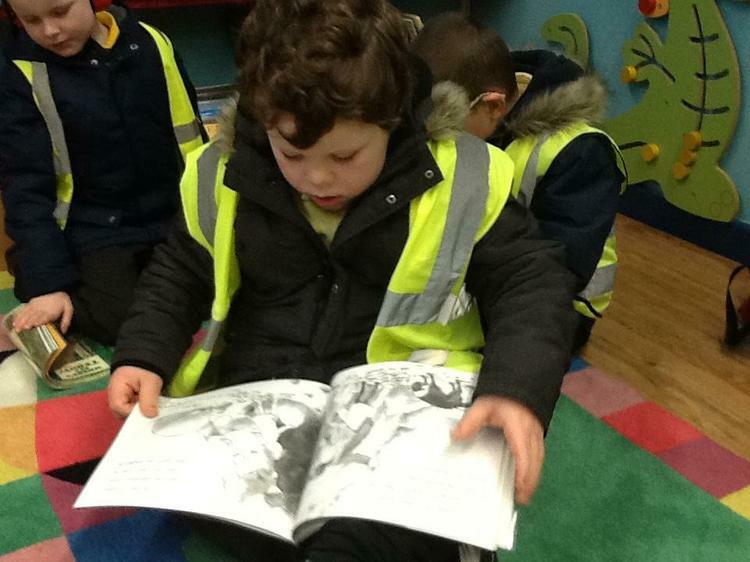 We enjoyed looking at the different books. 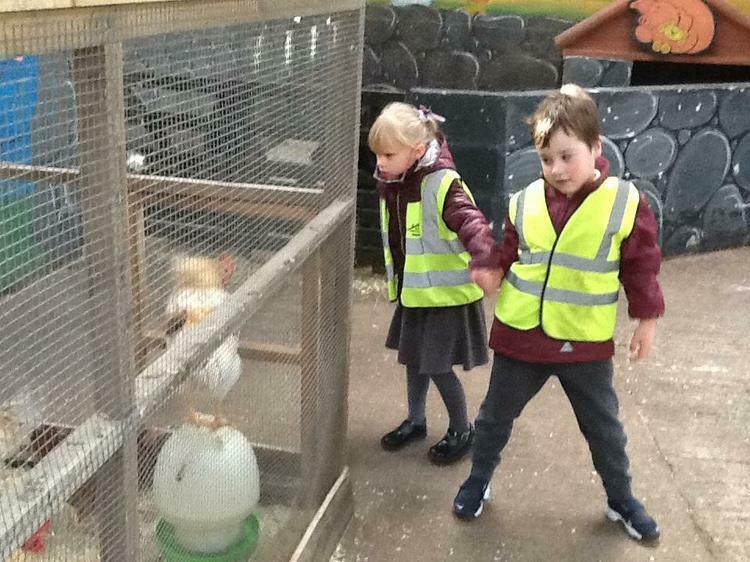 We had a busy first week back. 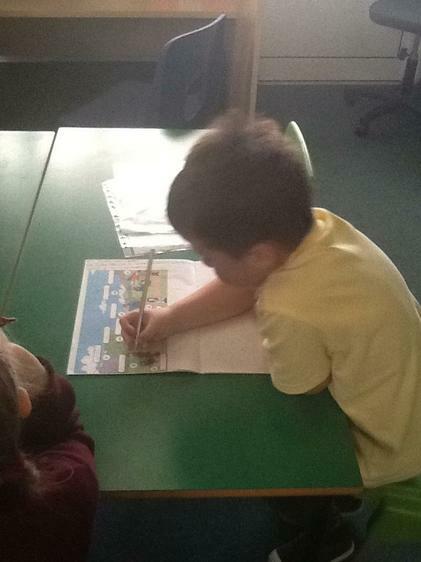 Literacy- The Three Little Pigs, we are describing the story setting, handwriting practice and reading. Phonics - working on our listening and attention skills, early play skills, sorting words by their initial sound, practicing our reading skills. 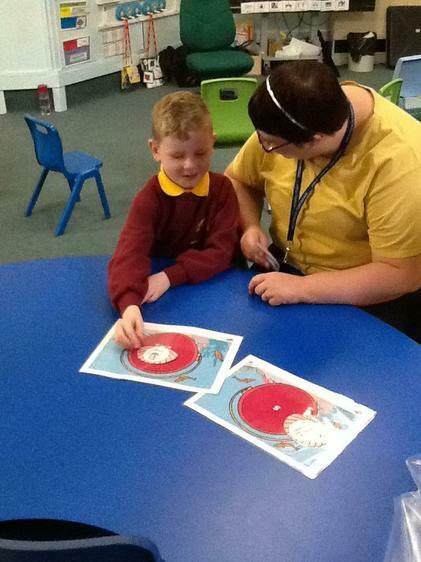 Maths - we are counting and ordering numbers to 5/10 and 20. Some of us are working on odd and even numbers. 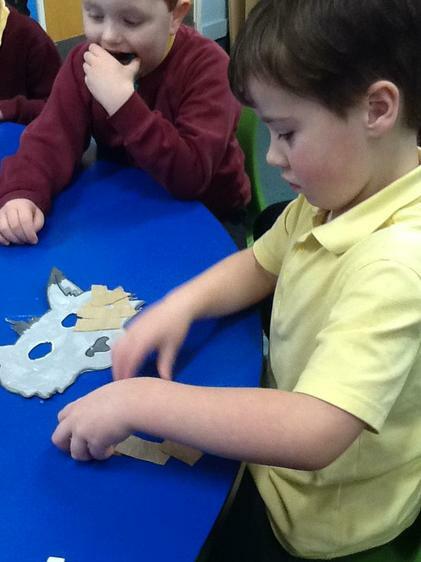 DT - we are making wolf masks linked to our story and our music work. 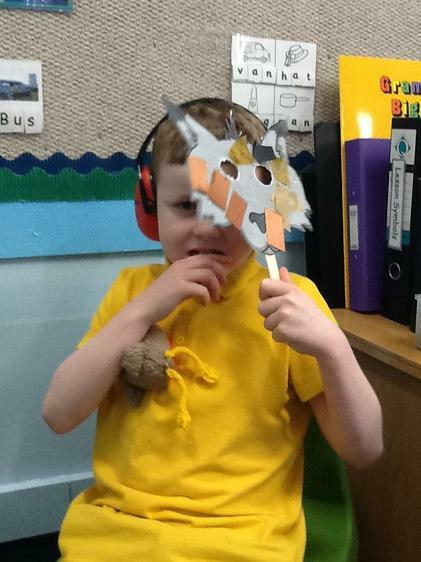 Music - we are playing the part of the Big Bad Wolf from the Three Little Pigs. 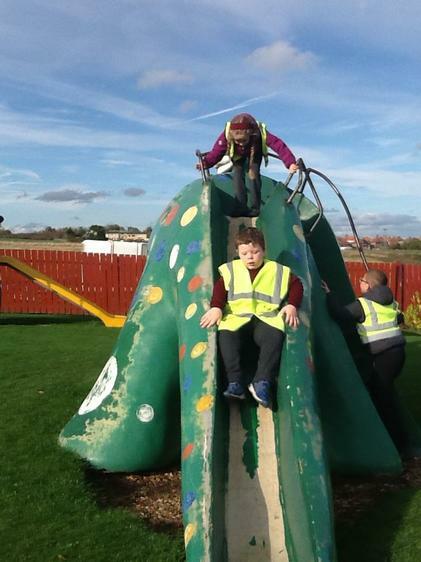 Bus - we are going to look at some old and new houses around Hartlepool, linked to our Science. Science - Sorting things that use electricity. PHSE/Art with Annette our HLTA. Another busy week. 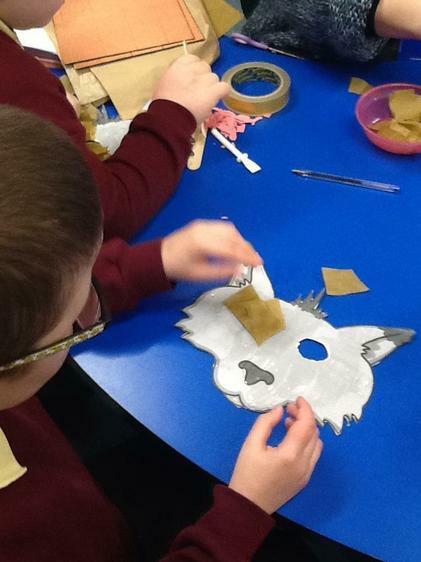 We will post our Wolf Masks after we have made them. 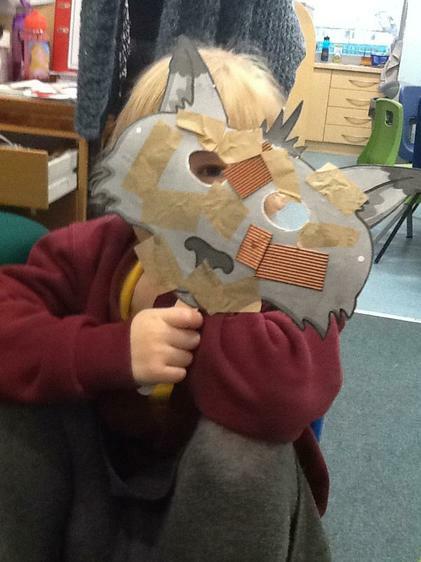 In DT we made wolf mask just like the wolf in our story, The Three Little Pigs. 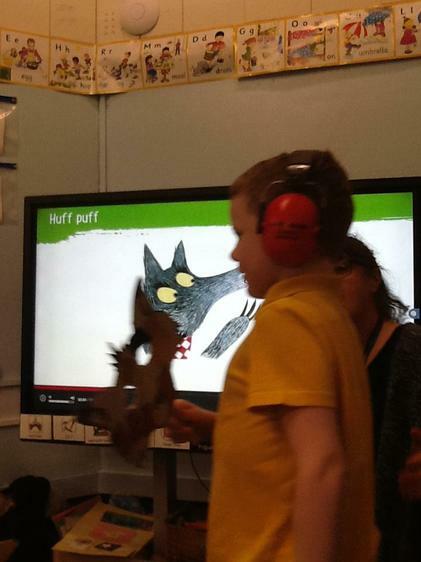 Then in Music we danced to the wolf song. 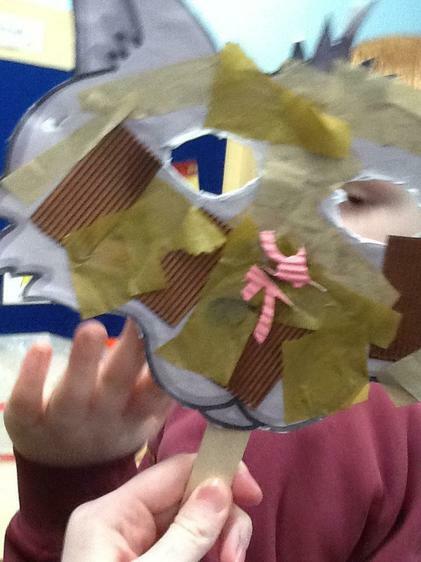 We hope you like our masks. 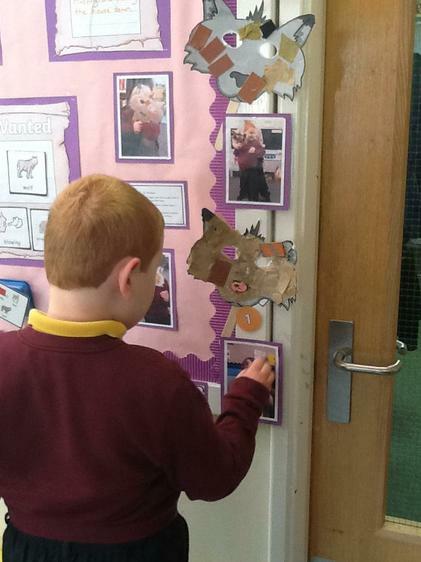 Literacy - The Three Little Pigs - we are learning about the characters in the story and sequencing the story. Letters and Sounds - We are working on listening and attention skills as well as working alongside our friends in class. 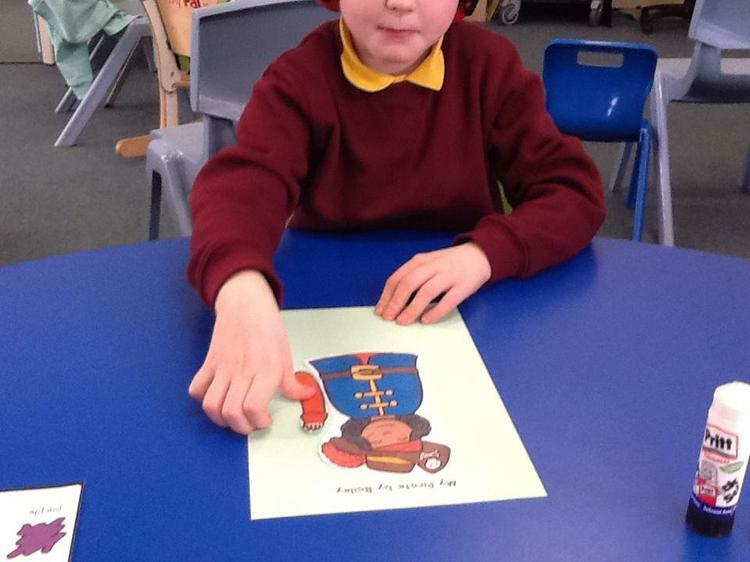 We are learning about letter sounds and how we use them to read. 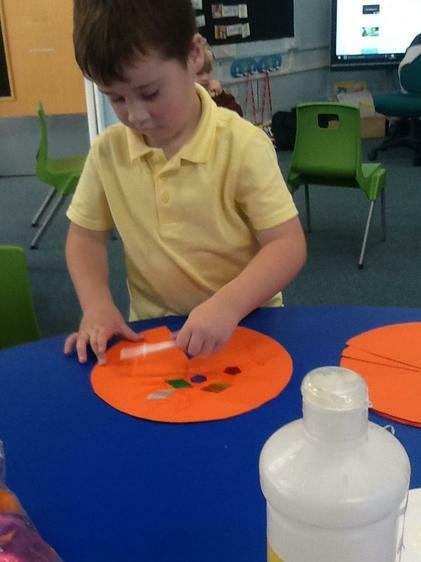 Maths - Calculating, we are learning to add some items to a group, adding two sets of objects/numbers/numicon shapes and learning how to half and quarter a set of objects. 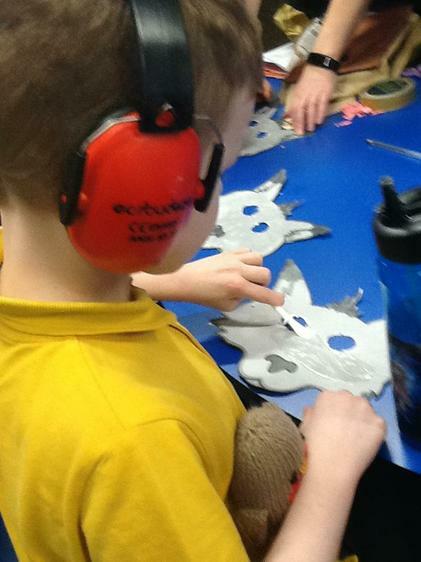 DT - making a moving cat puppet and a flying bat puppet. 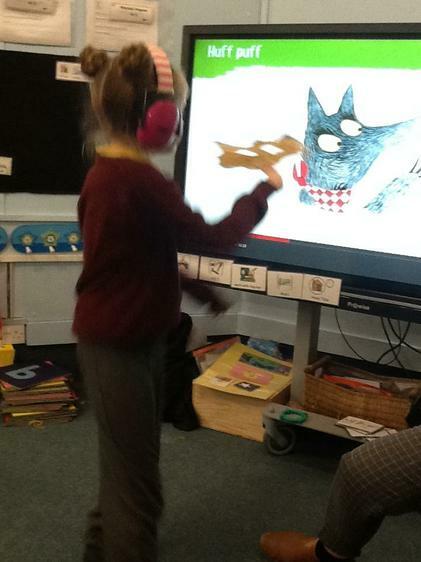 Music - Using our puppets to move to the song "The Cat and the Bat". Bus - a trip to see old and new houses around Hartlepool. 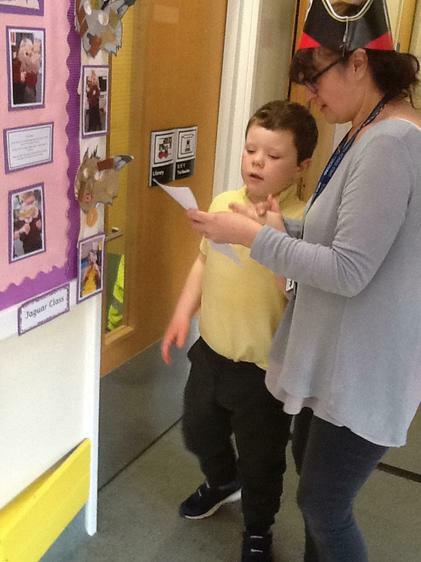 Keep checking for photographs during the week. 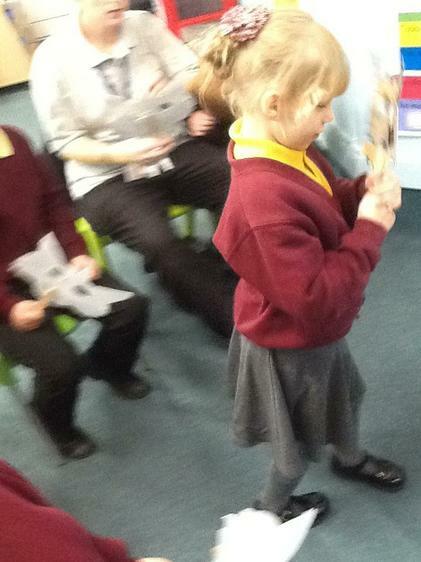 Literacy - Our story is The Snail and The Whale. 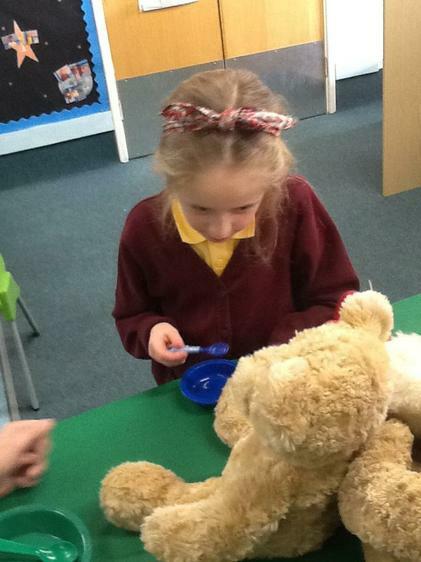 We are exploring the props and also handwriting activities. 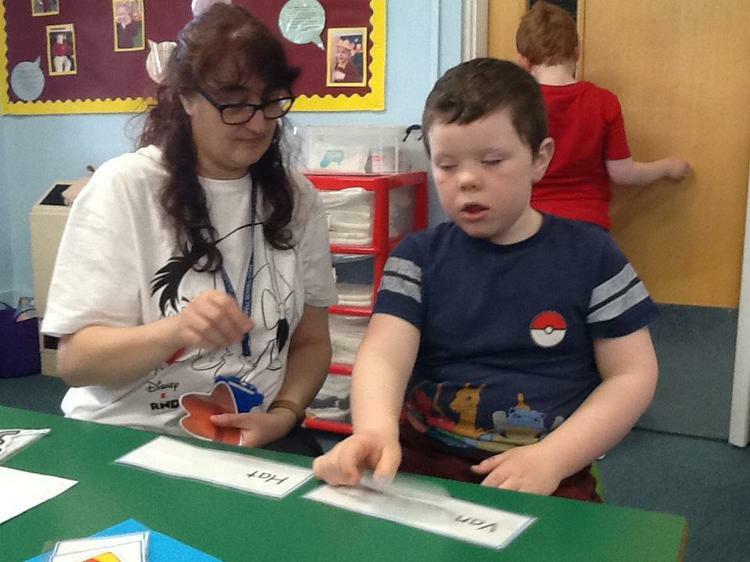 Letters and Sounds - Working on our Listening and Attention Skills, turn taking and practicing our reading skills. 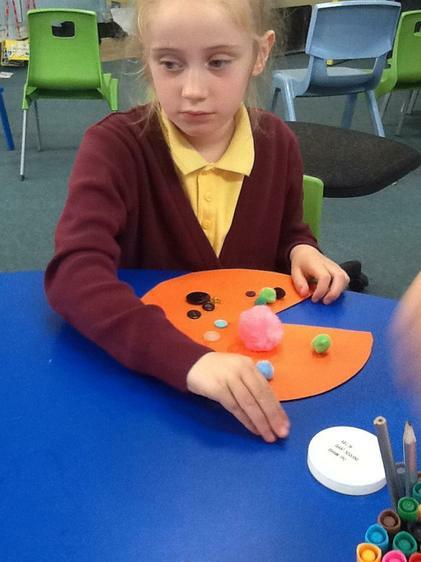 Maths - adding two sets of objects and fractions. 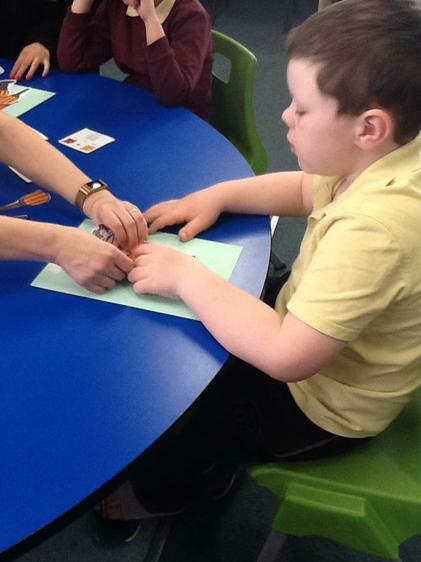 DT - Making a frog hand puppet. 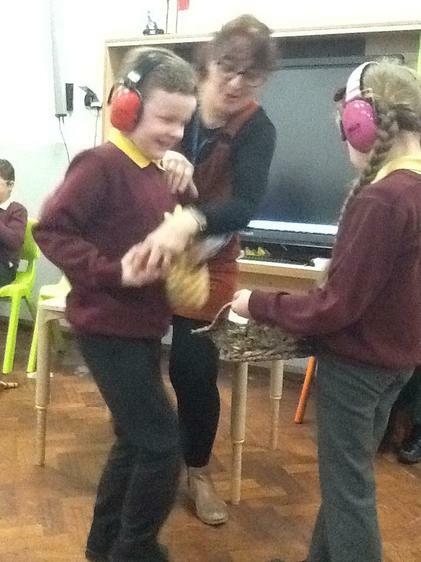 Music - Listening to the Wide Mouth Frog Song. 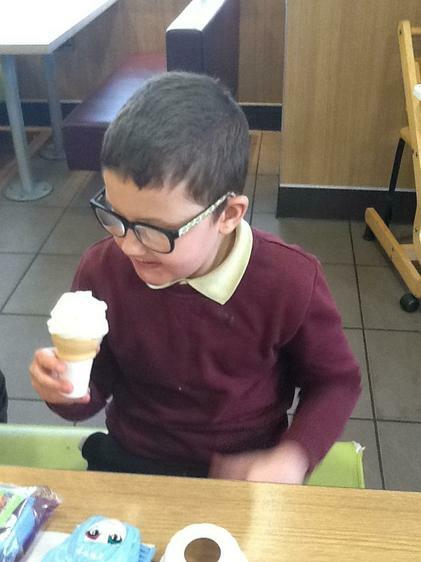 Bus - Visiting a cafe for a drink as part of our PHSE work. PHSE and Art with Annette our HLTA. 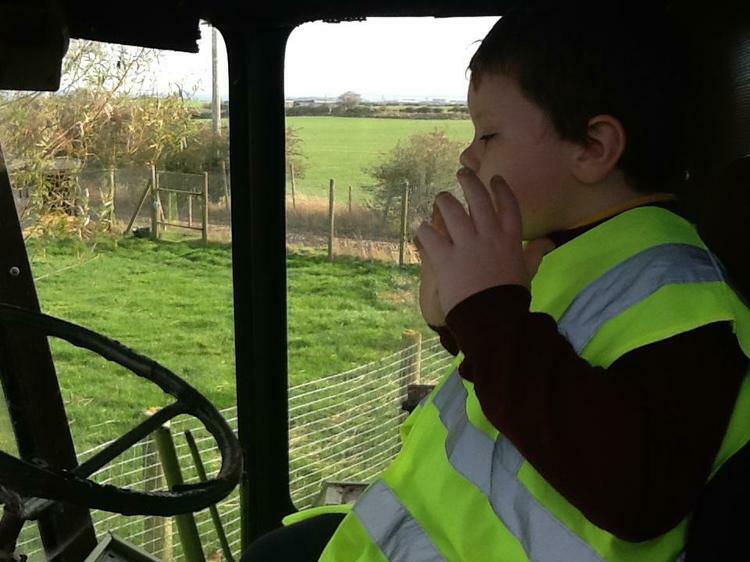 Please check back for photographs and some of our work. 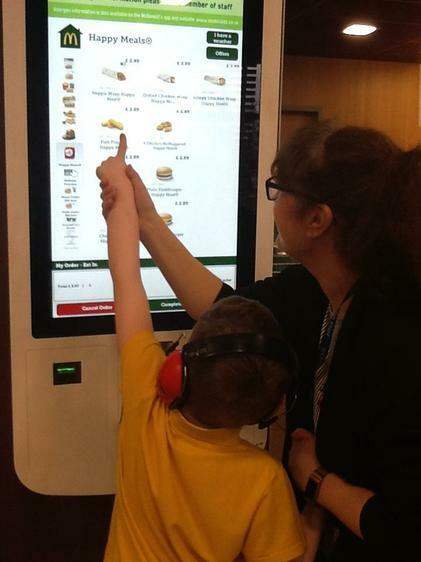 13th February 2019 As part of our ICT work on sending messages, we visited McDonalds and ordered our own lunch using the screens. 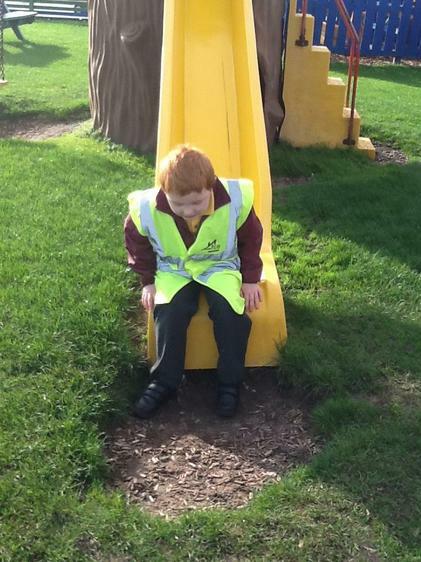 We hope you enjoyed the break and the lovely sunshine. 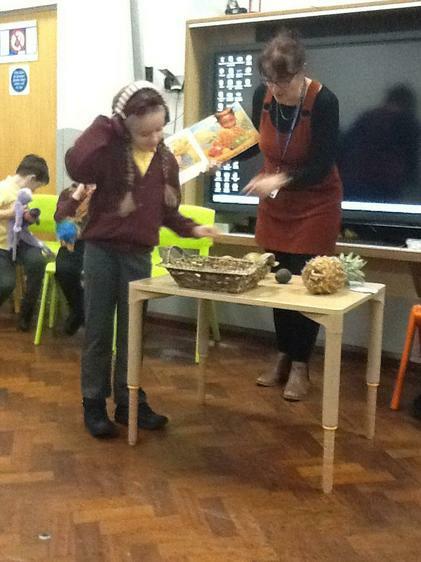 Literacy - Handa's Surprise - retelling the story with the props, colouring the animals from the story, handwriting and in our outside area with role play. 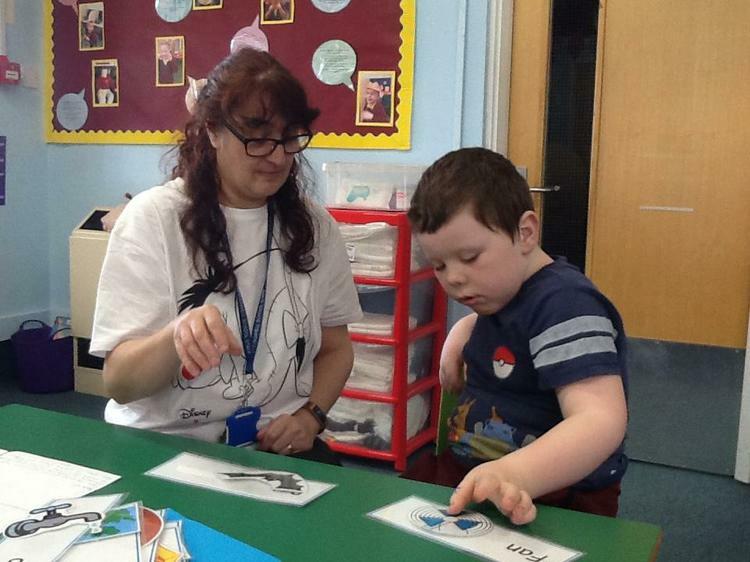 Phonics - working on our listening and attention and play skills, letter sounds and developing our communications. 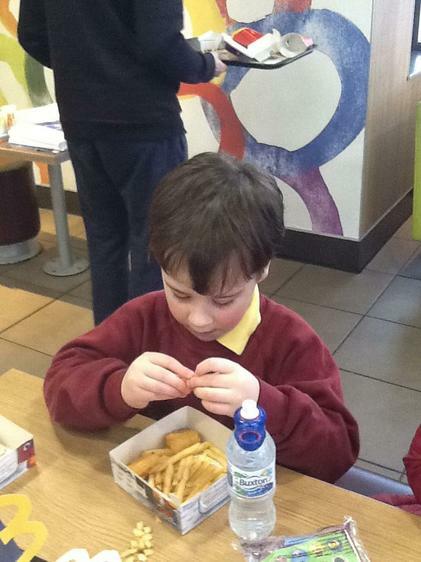 Maths - Adding and some fractions. 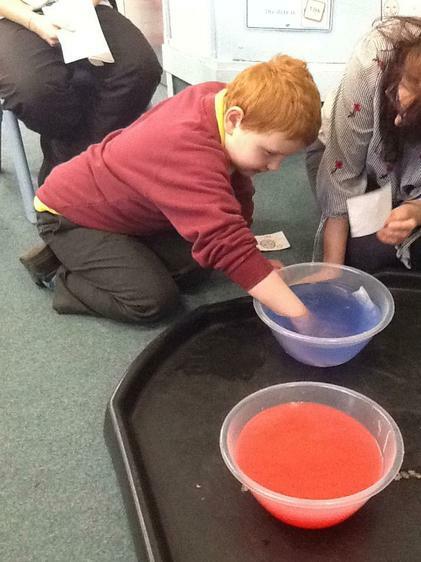 Geography - learning about water. Science - making our own circuit to light a bulb. 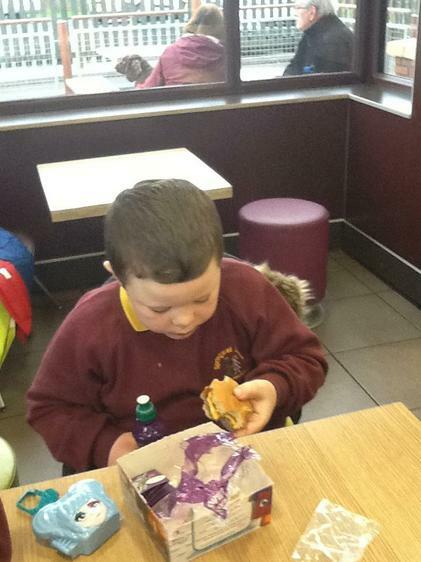 Keep checking back for pictures. 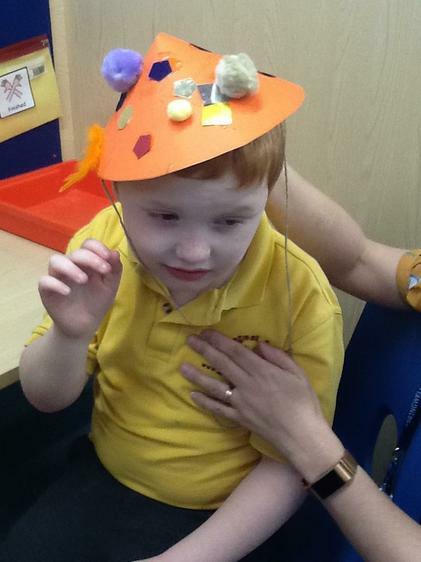 Jaguar Class Assembly Wednesday 6th March 2019. 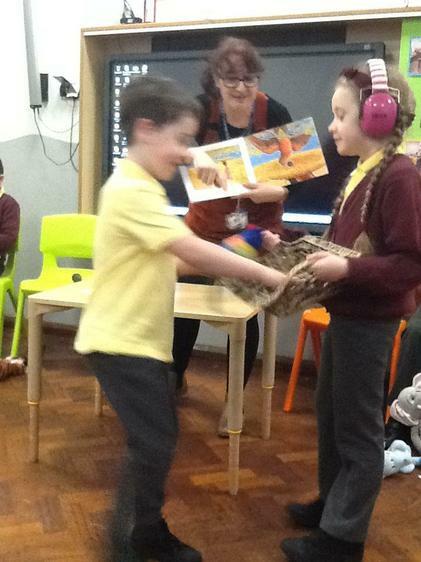 We acted out the story Handa's Surprise. 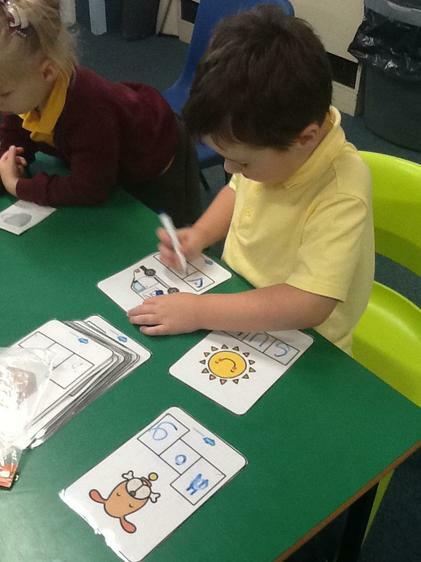 Phonics - One of Jaguars has been working very hard on his phonics and matching words and pictures. 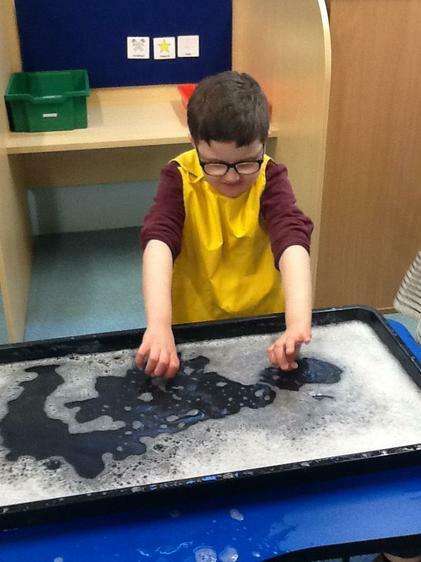 Geography Work on Water. 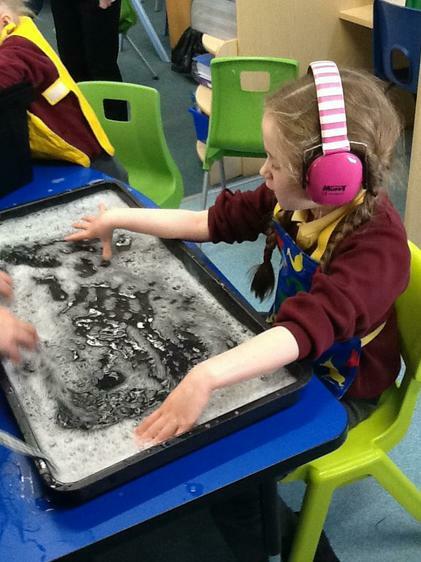 We explored hot and cold water as well as scented bubbles and watched bubbles. 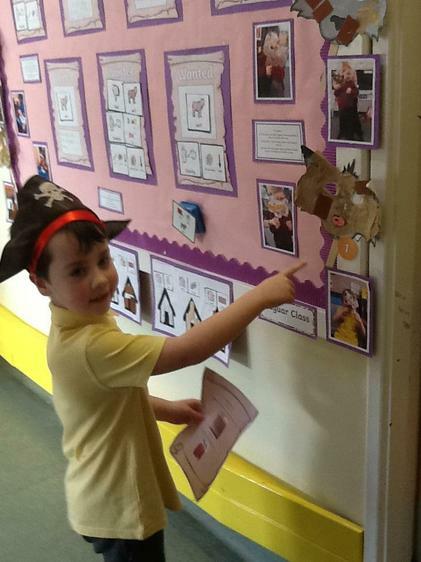 Literacy - Our story is Pirates Love Underpants. 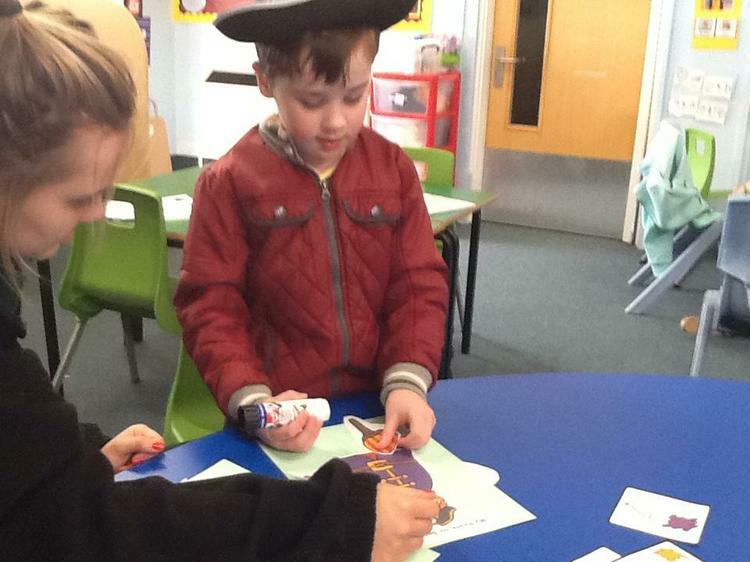 We are having a pirate treasure hunt, decorating underpants as well as handwriting. Letters and Sounds- Working on our play skills, Lego Bug Club, Practice reading words and listening to initial sounds in words. 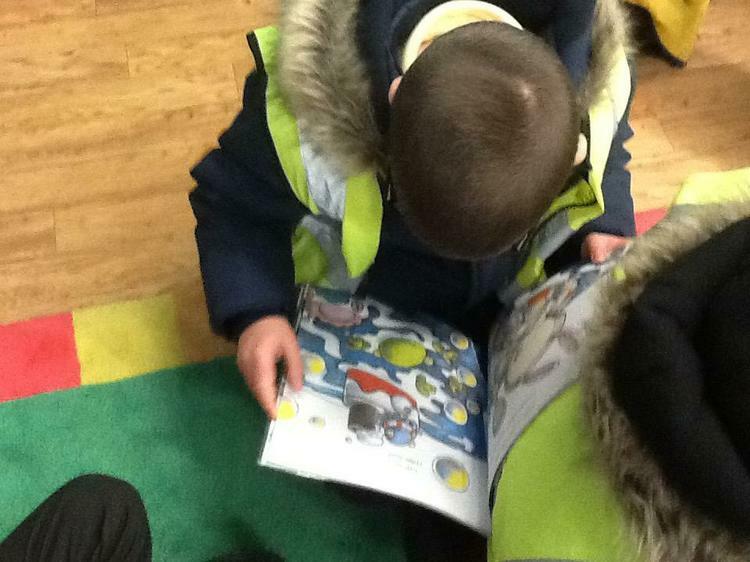 Maths -Time, sequencing days of the week, listening to the Very Hungry Caterpillar and learning about o'clocks. Bus- Trip to Lidl to get supplies for class. 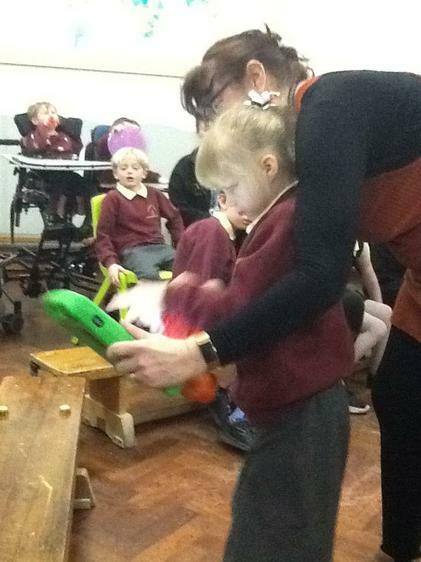 Please check back for photographs of what we are doing in class. 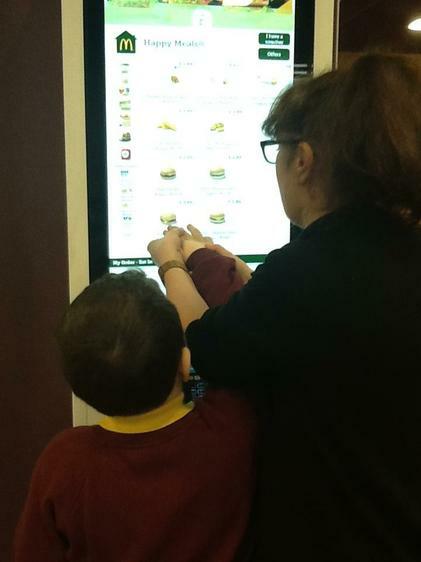 Monday 18th March 2019 ; We went on a treasure hunt to look for gold coins, we found all the coins and gained a reward of chocolate ! 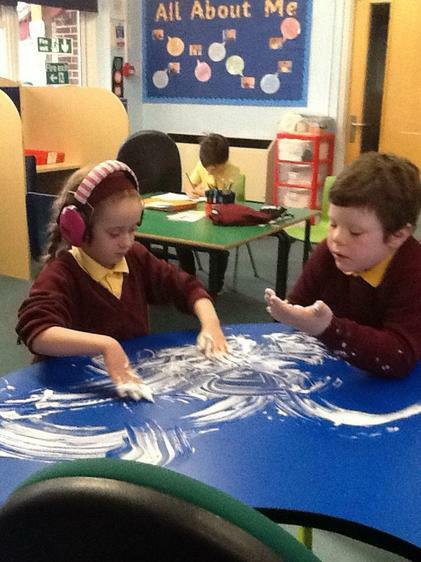 Another busy week in Jaguar Class. 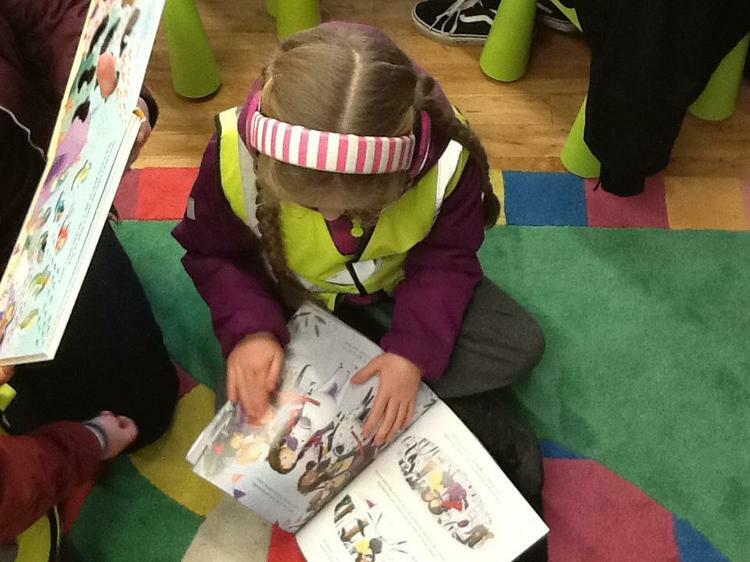 Literacy: Reading Pirates love Underpants. 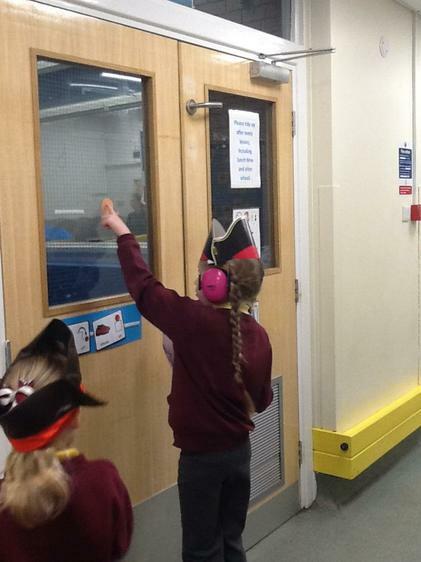 We are really enjoying our time as pirates. 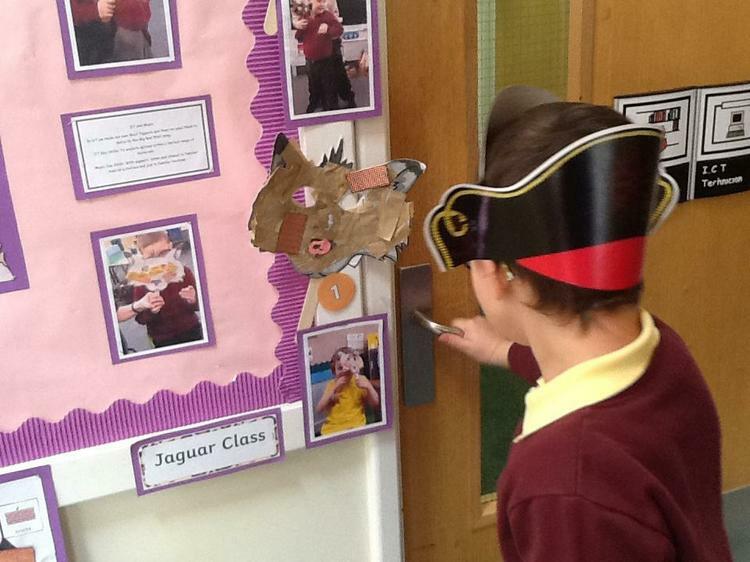 We have made pirates as we listened to instructions. 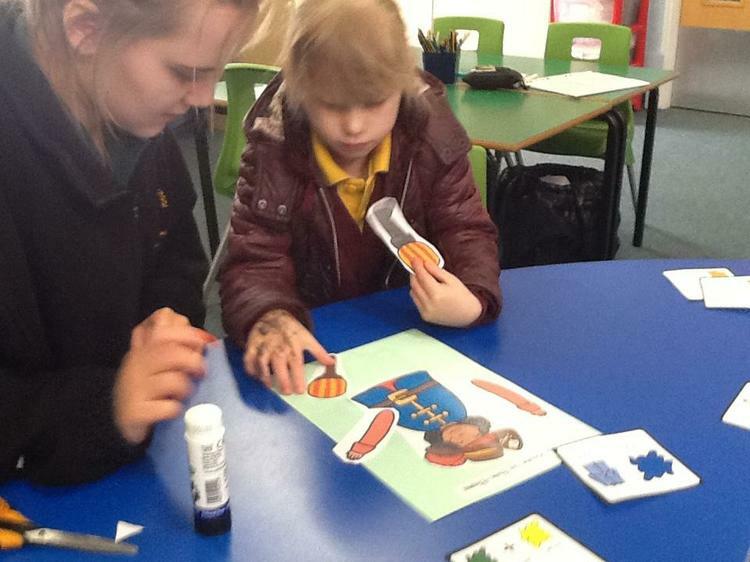 We are also making Pirate wanted posters. 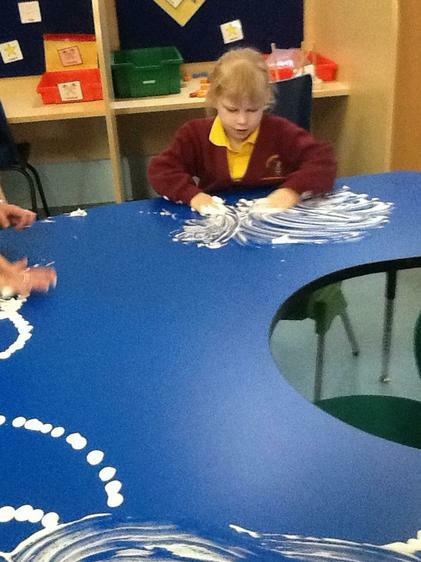 Plus working on our handwriting. 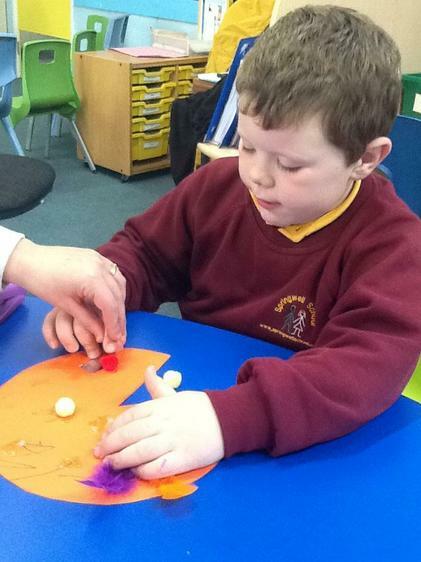 Maths - learning about shapes and their properties. 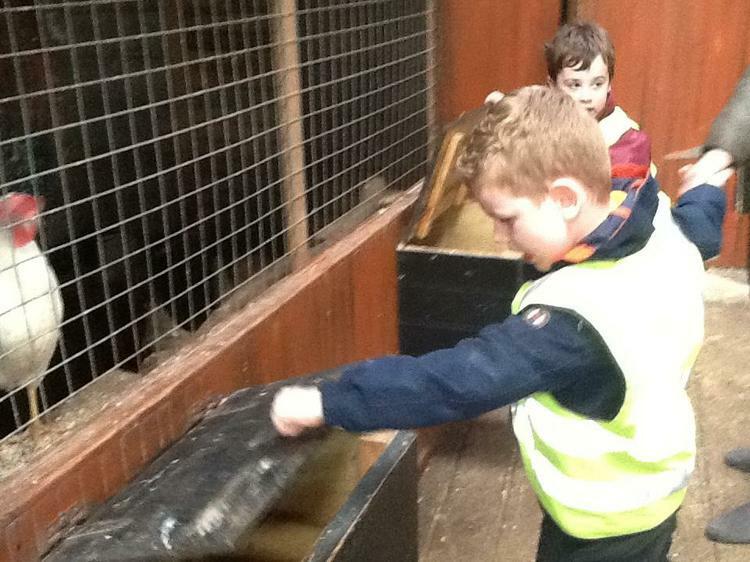 West View Project Forest Day - going to hunt for the golden underpants in the forest! 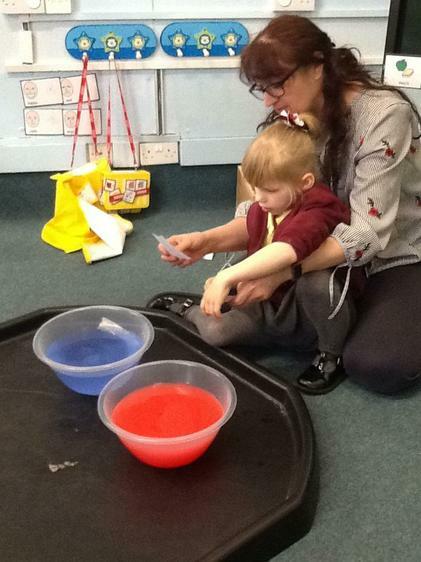 Letters and Sounds - working on play skills, listening skills and following instructions as well as working on reading some words and listening to the initial sound in words. 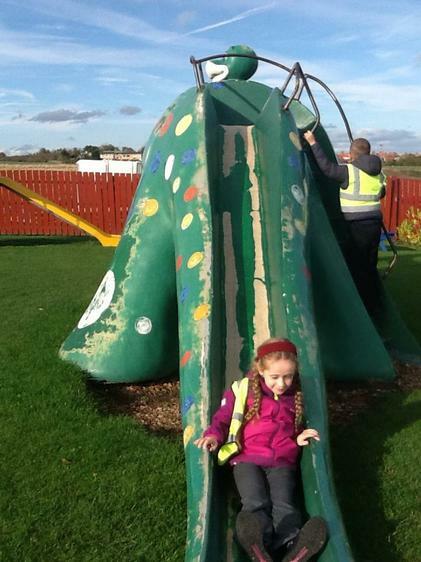 Bus - Visit to Tees Barrage to look at the water in the barrage and how fast it flows as part of our Geography Work. 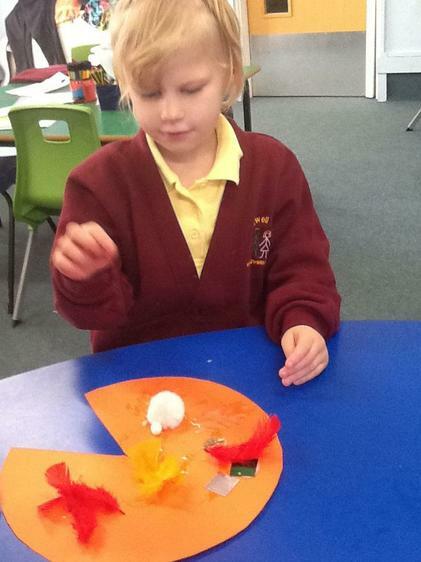 Geography - making Incy Wincy Spiders who come down the water spout and finding different water sources around school. 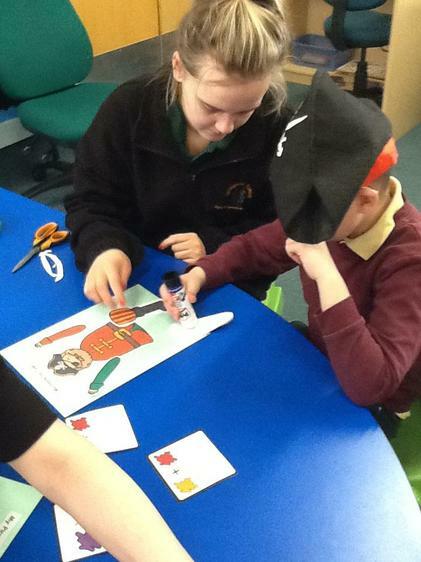 Making Pirates. Some of us are still wearing our pirate hats. 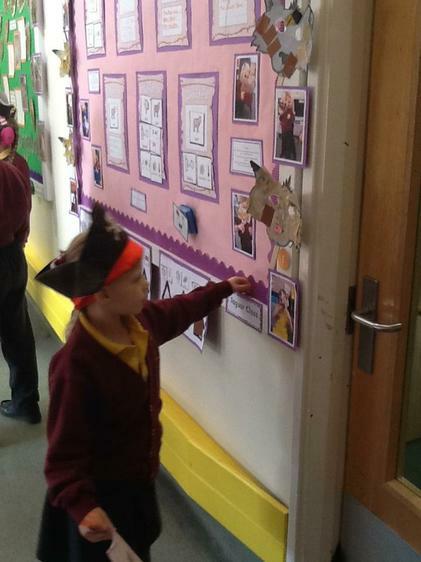 Our pirate pictures are hung up in our outside area. The last week of the Spring Term. 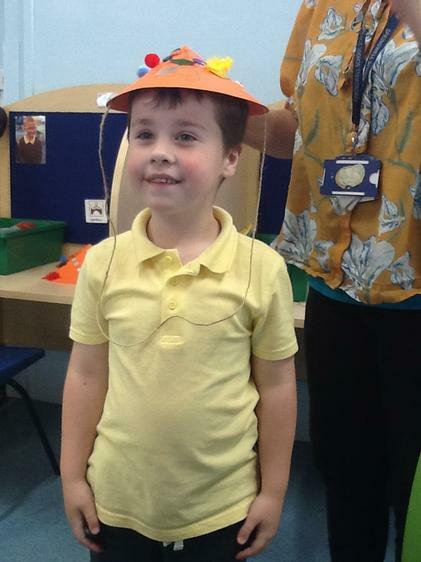 This week we are learning about..
Literacy - Pirates Love Underpants - sequencing the story, acting out parts of the story. 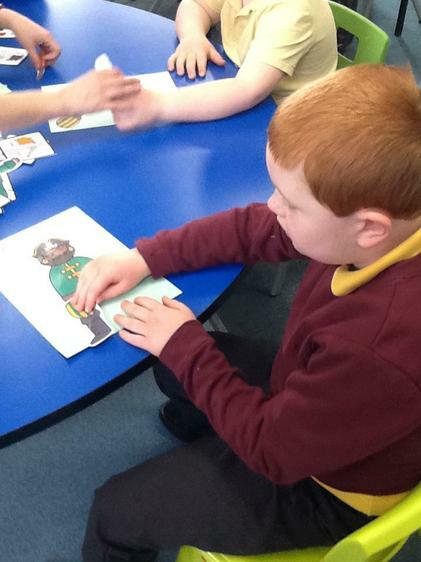 Phonics - Lego Bug Club, working alongside others and working on our listening skills. 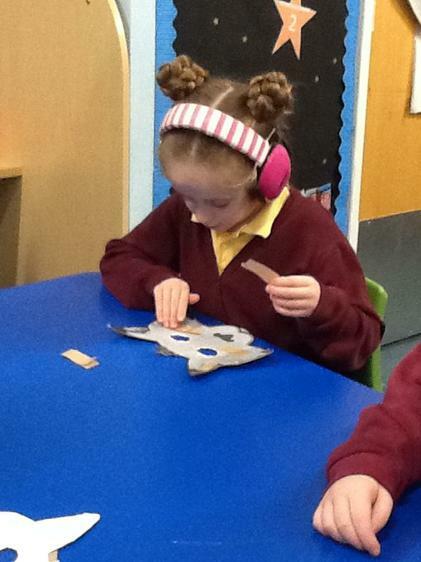 Maths - working on 3D shapes. The Easter Service at St. Hilds. Thank you for your support over the last term. 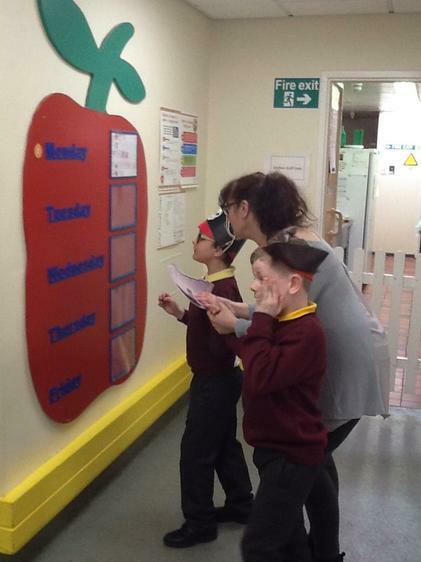 At the start of term we were set goals. 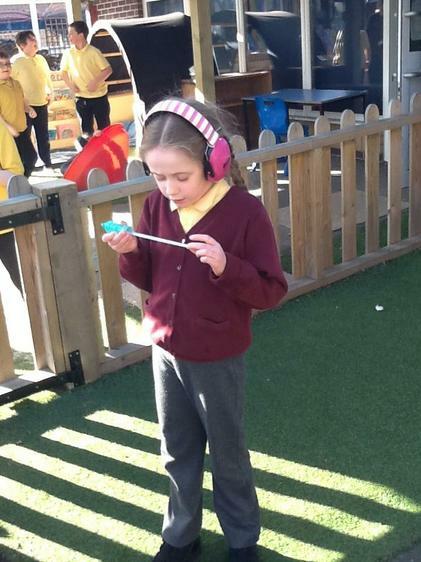 Jaguar Class' goal was to listen carefully. 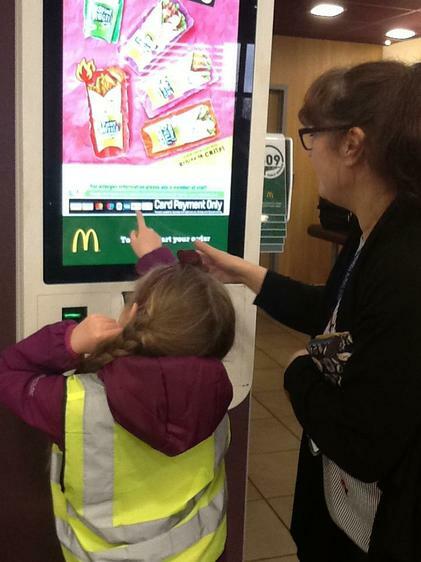 Our Powerpoint shows how we have achieved our goals. Autumn 2018: Healthy and Active Lives: This our topic web and shows the key skills we will be working on this term. 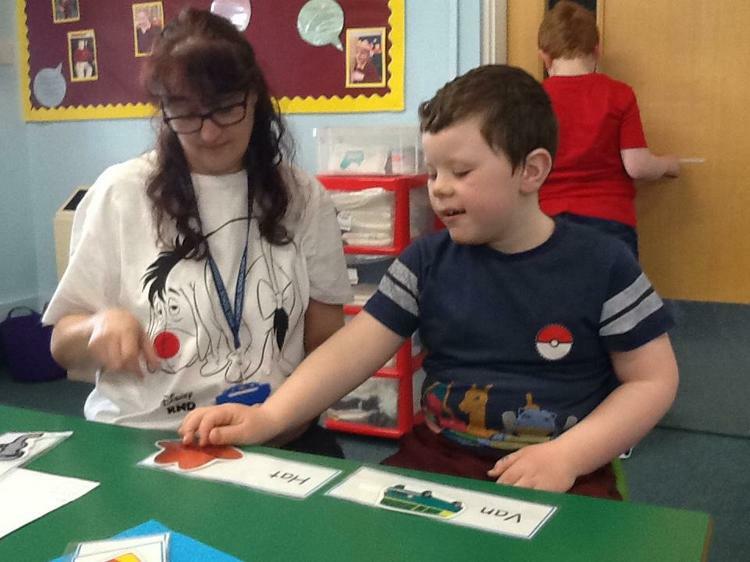 Jaguar Class are following the Attention Autism programme developed by Gina Davies which helps develop attention and focus and then can be used to consolidate learning skills. 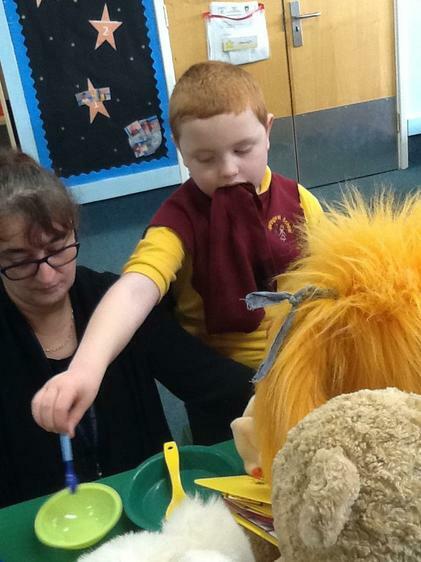 We are working on Stage 1 at the moment to develop attention and enthusiasm on adult -led activities. 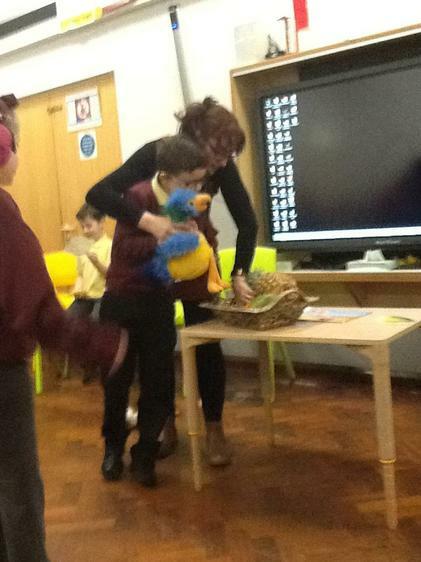 Stage 1 is the bucket phase where the bucket has lots of exciting toys inside such as moving birds and the children watch the toys and share the staff's excitement. 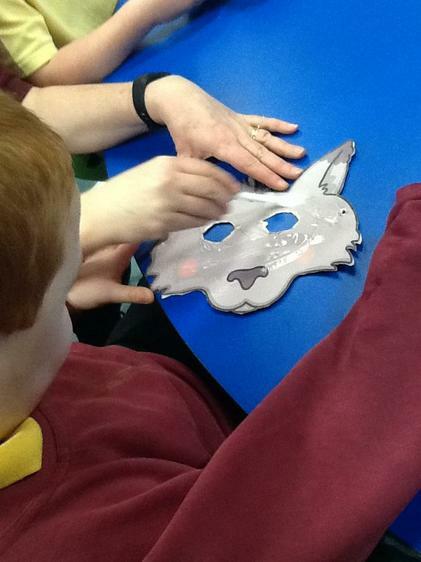 Jaguar Class are really enjoying this activity and we will let you more about the programme as we progress through it. 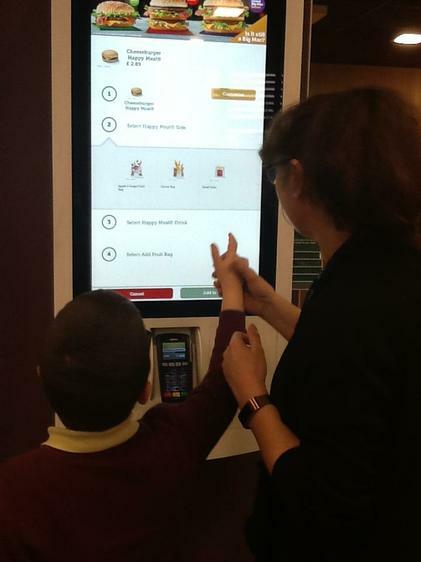 If you want to know more there is a Facebook page Gina Davies Autism Centre which also has lots of good tips and ideas. There are also some videos on Youtube showing some of the stages. Every afternoon Jaguar Class take part in Yoga sessions. Our first video is below. The video is a short one to start and we will build up to longer sessions over the year. Jaime's Brain Breaks | 1. Ready to Launch! A fun brain break with Jaime from Cosmic Kids. We get our bodies and brains engaged for lift off, ready for the fun missions we have ahead of us! We're launching a new one of these every Wednesday for the next 12 weeks! Download the free Wallchart for this series! Literacy Our story is Giraffes can't Dance. 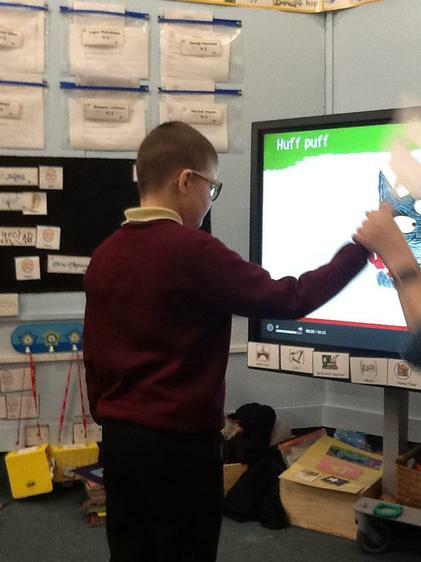 ICT - using our voices and recording them. 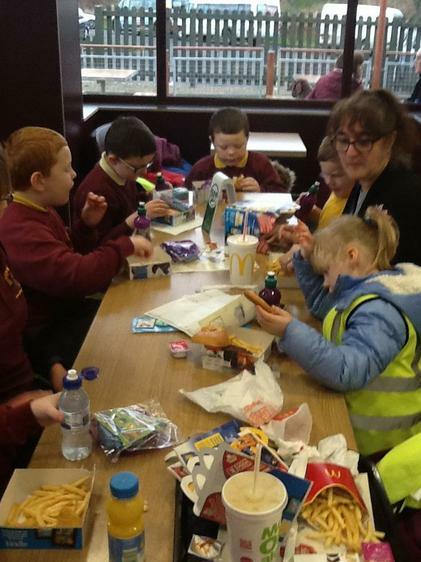 Bus Visit to the town to look at things that help us to keep clean. 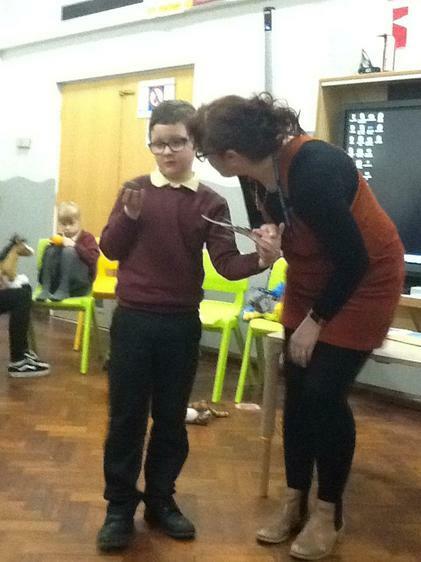 Science - naming our body parts. 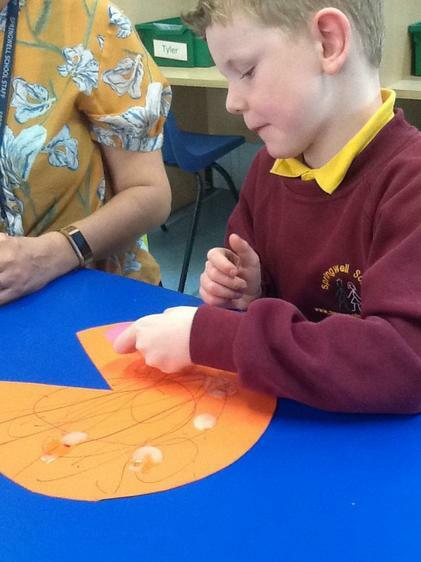 Literacy: Our story is Oliver's Vegetables and we will be trying some of the vegetables from the story also practicing our handwriting and mark making skills. 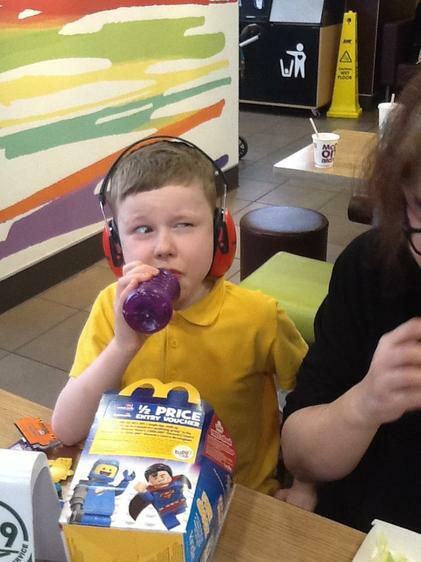 Phonics - we will be working on our listening and attention skills, play skills and learning about the letter p. We will also be practising spelling and reading words. 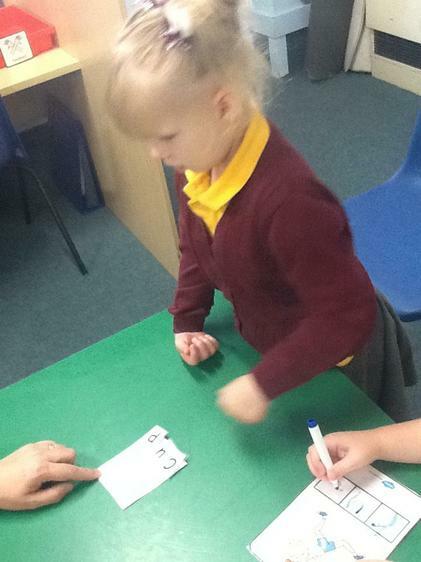 Maths- we are working on adding two groups of objects, counting out objects and recognising numbers. Some of us are working on number bonds and looking for patterns in the number bonds. 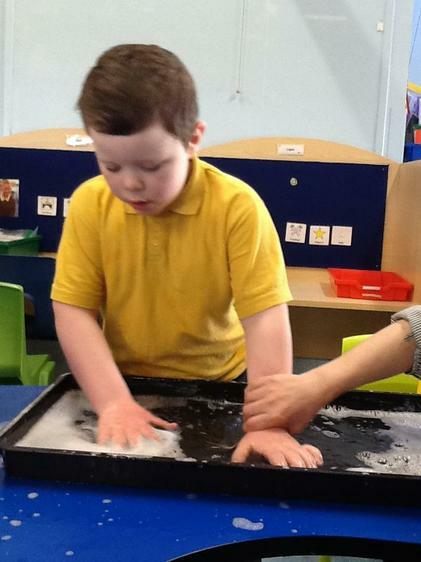 DT - looking at clothes that keep us warm in winter and cool in the summer. 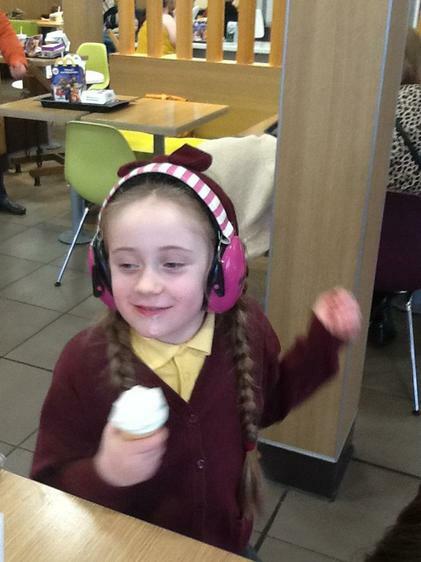 ICT - using a microphone. 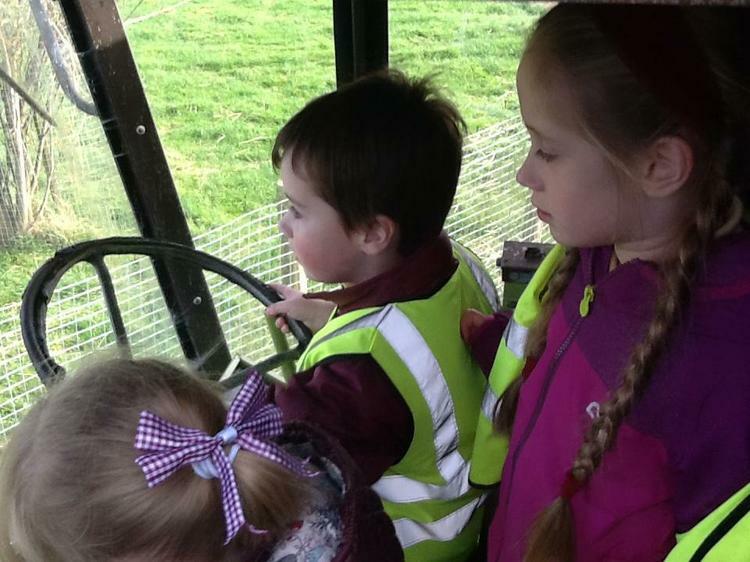 Bus - a trip to town to see the things we need to keep us clean - It was too windy last week so we did not go out on the bus. There is also a visit from Maisie the PAT dog this week. 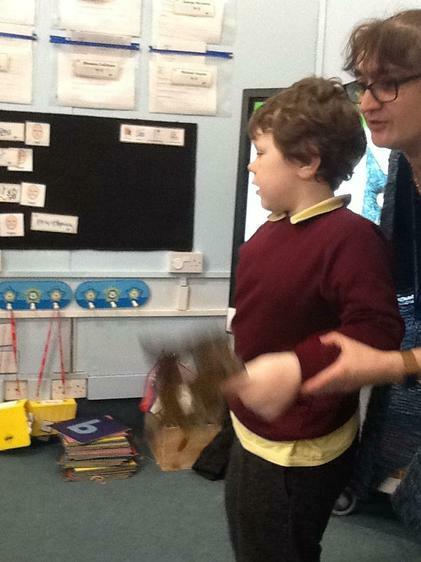 Science- Looking at different ways we can move. A quick brain break for with Jaime from Cosmic Kids. Rise up into the fresh, clean air and make space in your mind and body for whatever is next. Download our free Wallchart for this series! 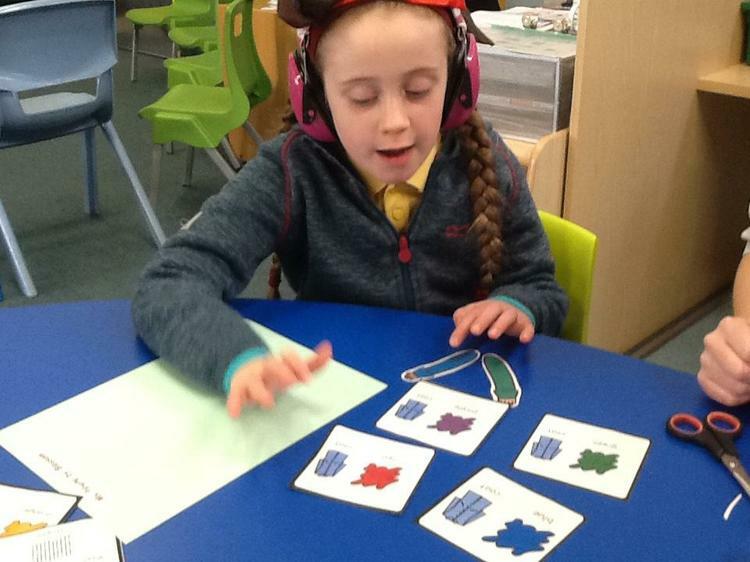 Phonics - working on our listening and attention skills, plus the letter i and sorting letter sounds. 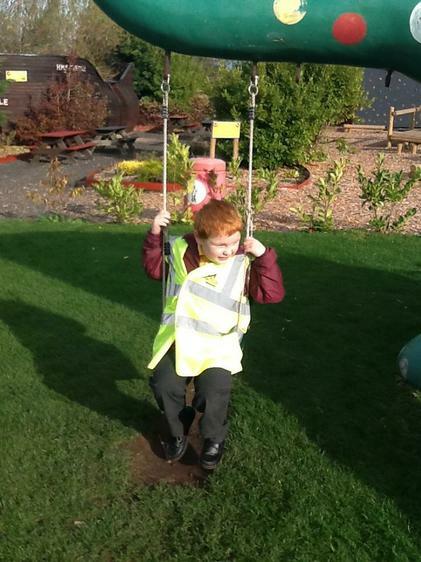 Bus - trip to Ward Jackson Park for an Autumn Walk and collect things for Autumn Art. 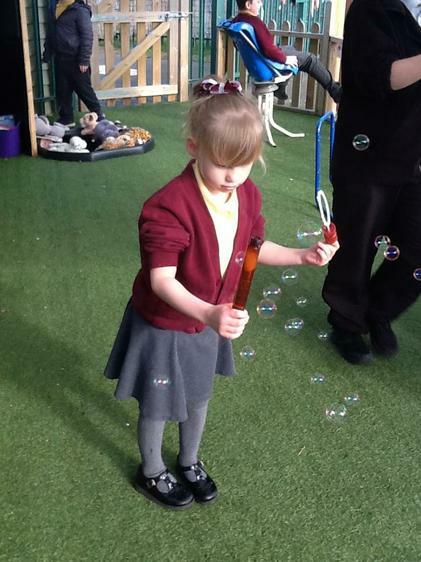 This term in Phonics we have been working on different skills. We have been working on our listening and attention skills through rhymes and stories, some of us have been working on spelling words. 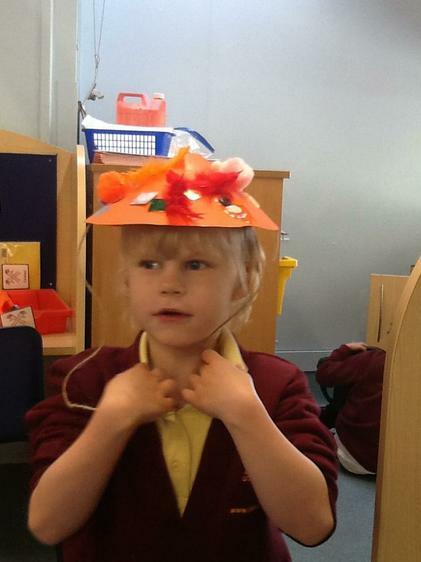 This is the poem we watched before making our Quangle Wangle Hats. 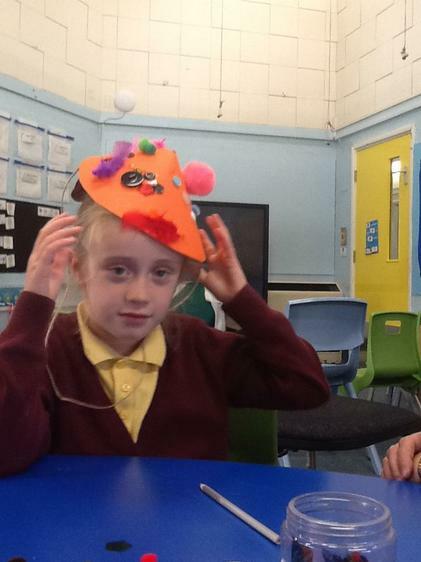 Making our Quangle Wangle Hats. 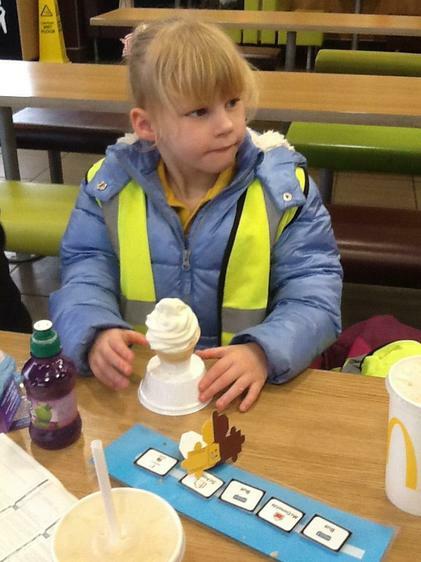 We had a great time making them and modelling them too. 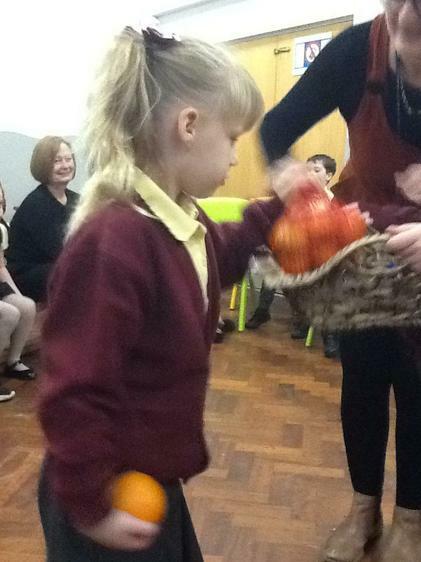 Literacy -Oliver's Vegetables - sequencing the story and retelling what happens in the story. Phonics - working on our listening and attention through stories, rhymes as well as segmenting and blending words, the n sound and ch sounds. 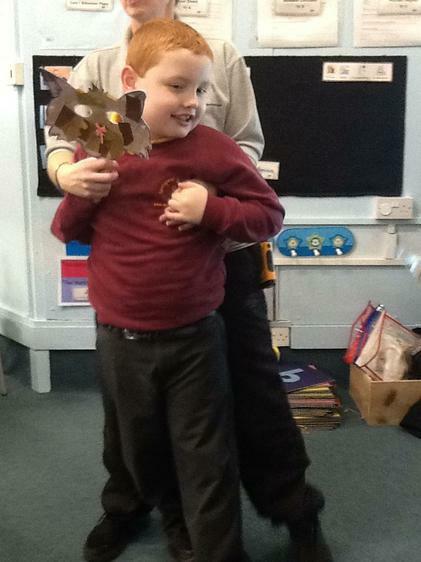 Science - looking at different ways we can move our bodies. 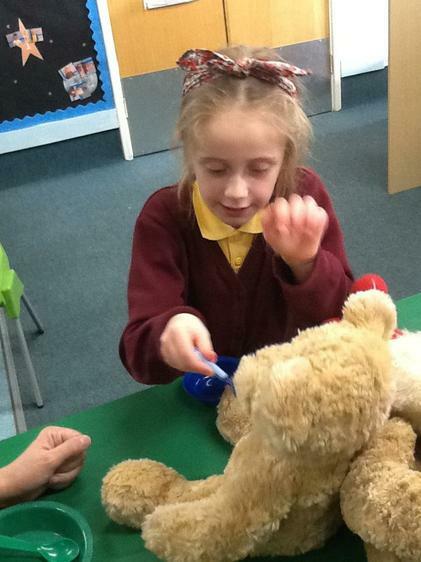 DT - designing and making dancing dolls or teddies. 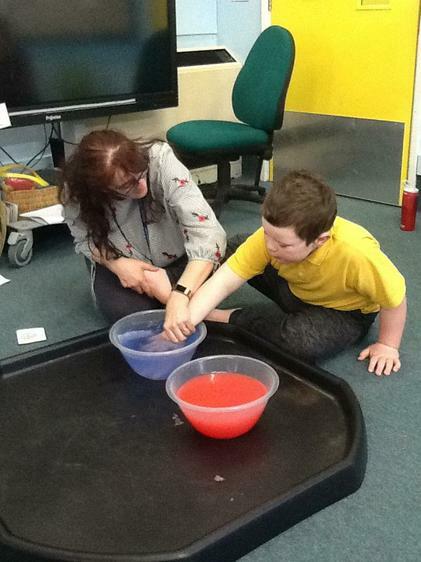 Science - looking at how we change as we grow up. Keep checking back for photos. A quick music & movement brain break with Jaime from Cosmic Kids. A call-and-response song with yoga poses to sharpen the mind and energise the body. Download our free Wallchart for this series! This week's Yoga: Jaime's Brain Breaks | 4. Stir it Up! A fun brain break with Jaime from Cosmic Kids. Stir up your body and your brain - waking everything up! Download our free Wallchart for this series! 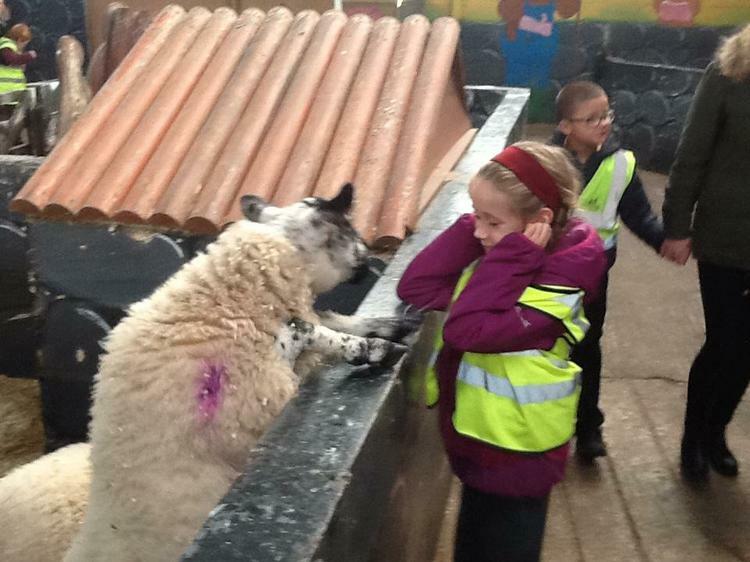 Visit to Tweddle Farm to see the animals as part of our Science work. The last week before the holidays. 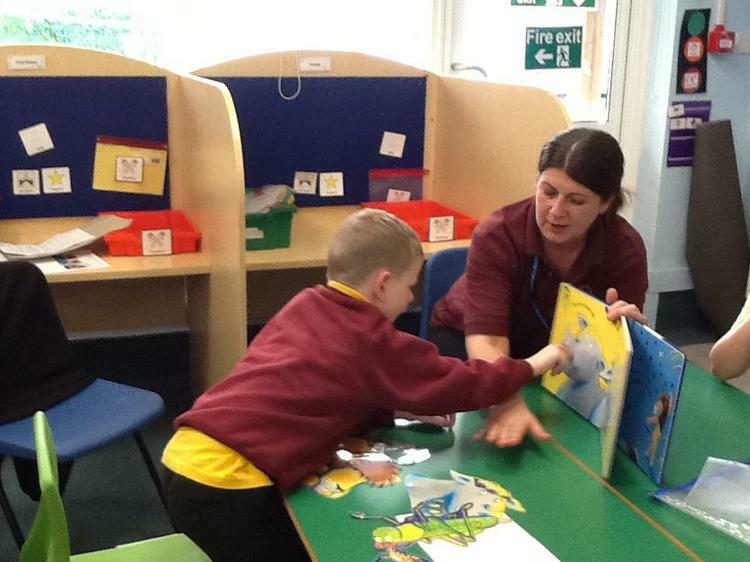 Phonics - developing our listening and attention skills through stories and rhymes. 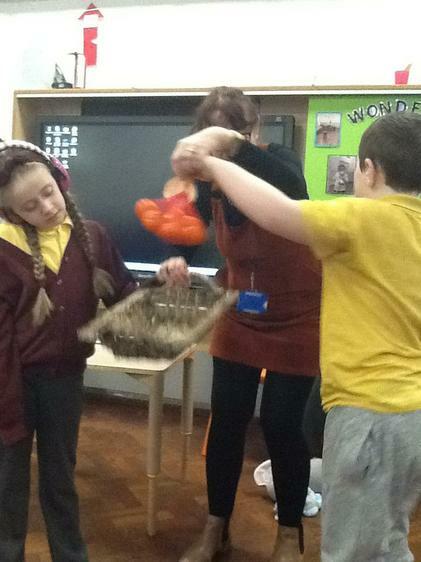 History - The history of Bonfire Night and having a party with glow sticks for fireworks, hot dogs and hot chocolate. Hope you have a relaxing half term. A quick brain break for with Jaime from Cosmic Kids. Energize your body as you stretch and strengthen all the major muscle groups. Download our free Wallchart for this series! Maths - Data Handling -sorting and some simple graphs. Letters and Sounds - developing our listening and attention skills, practising reading and making words, letter formation and letter sounds. 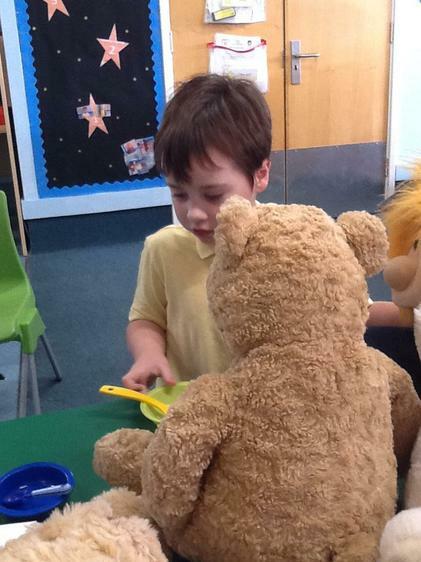 ICT - Learning to email and sending letters to the Three Bears from Goldilocks. 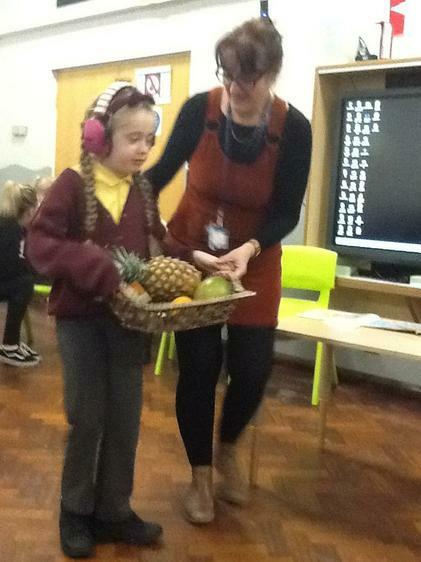 Geography - Visiting the Supermarket to look at foods around the World. Trying foods from different countries and matching them on a map. Keep checking for photos and some of our work. 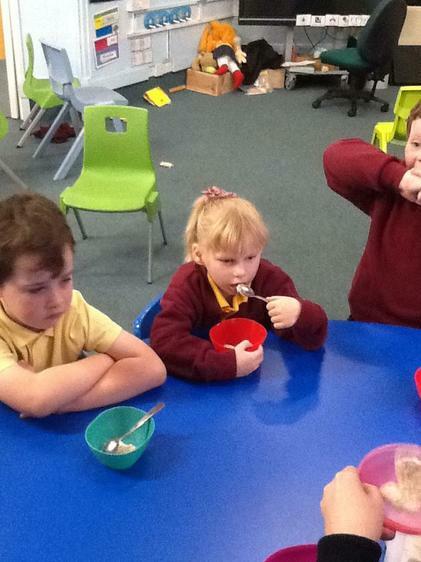 Retelling Goldilocks and the Three Bears... we liked feeding everyone the porridge. 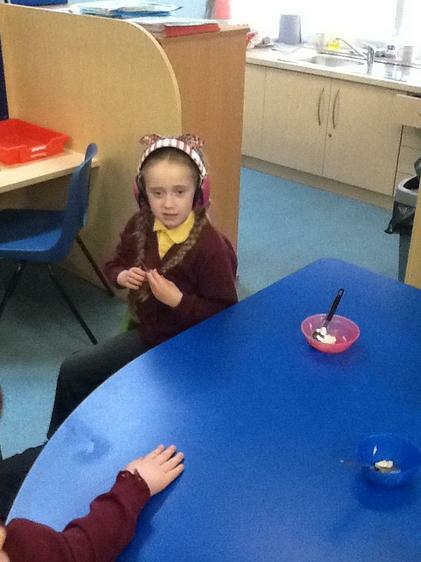 Literacy -Goldilocks and the three bears. 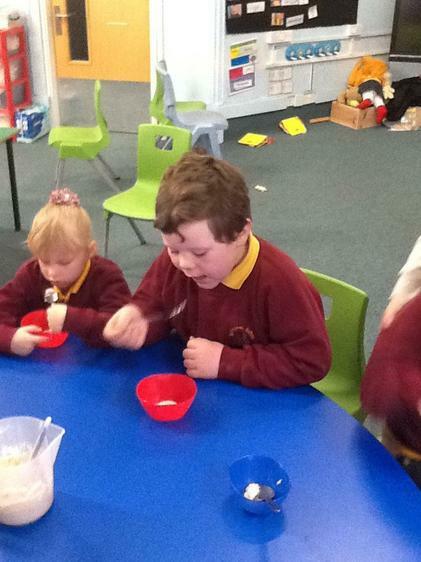 We are tasting porridge this week, practicing our handwriting. 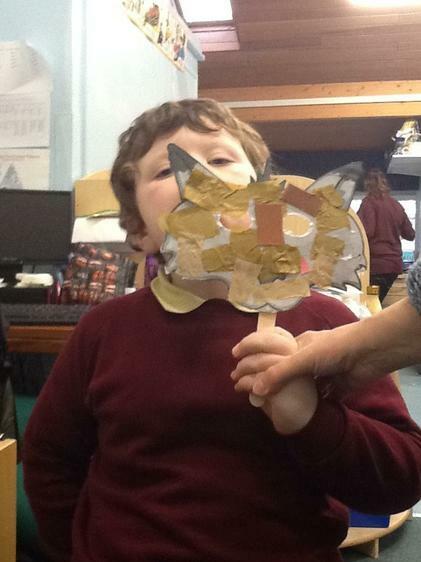 On Wednesday the ladies from the library visit to tell stories and do a craft with us. Phonics - we are practicing our listening and attention skills, learning about different letter sounds and making some words. Maths - we are learning about data handling, sorting and making some simple graphs. 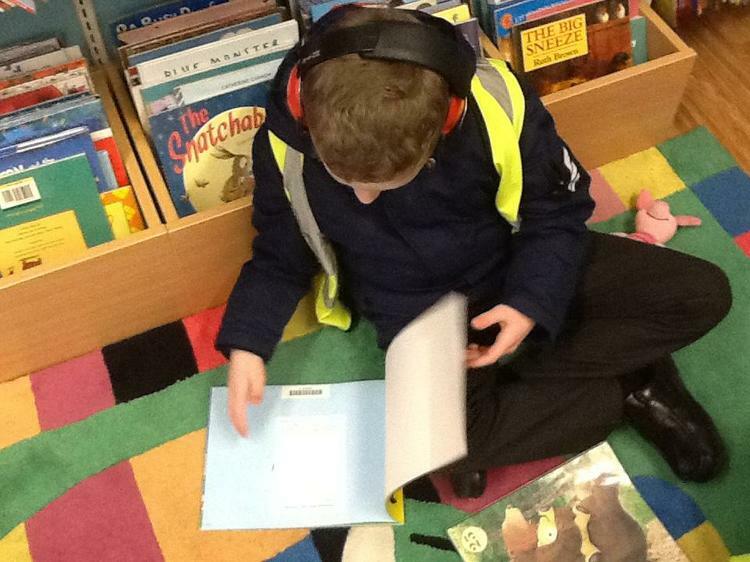 Individual Reading Session with an adult. History - Starting our work on Florence Nightingale by learning about who helps us when we are ill.
ICT - we are emailing the Three Bears. 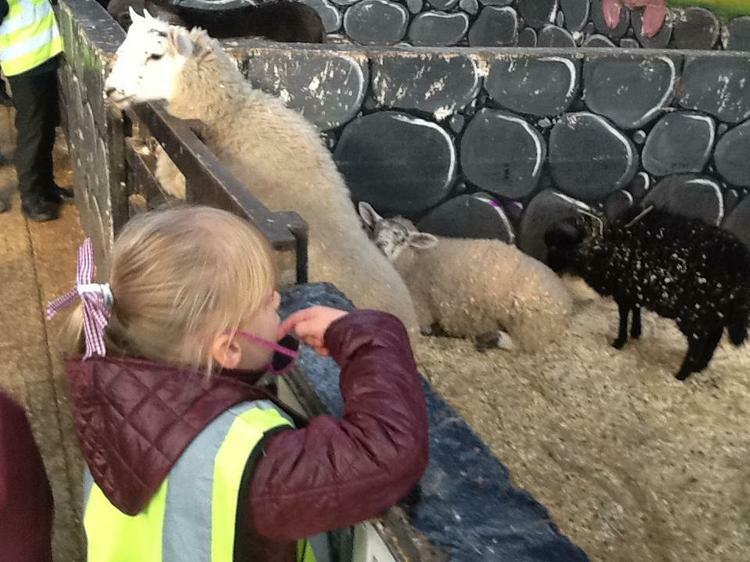 Bus - Visit to Pets at Home to look at the animals and things you need to care for animals. 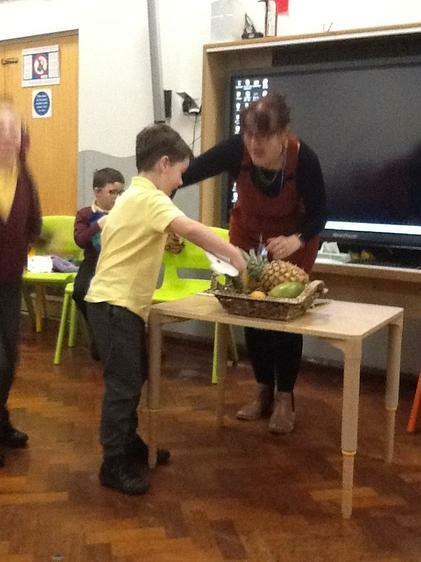 Geography - learning about where food comes from. 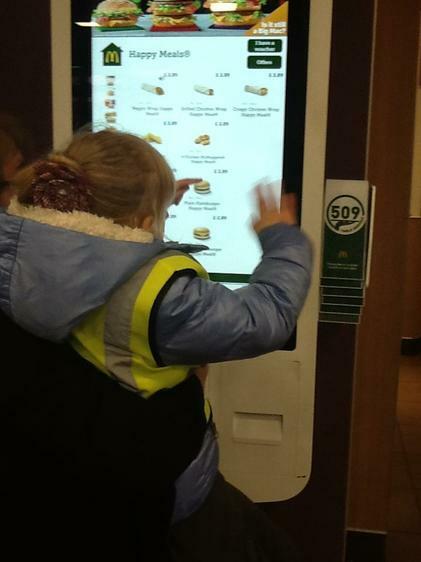 Keep checking to see what we are doing. 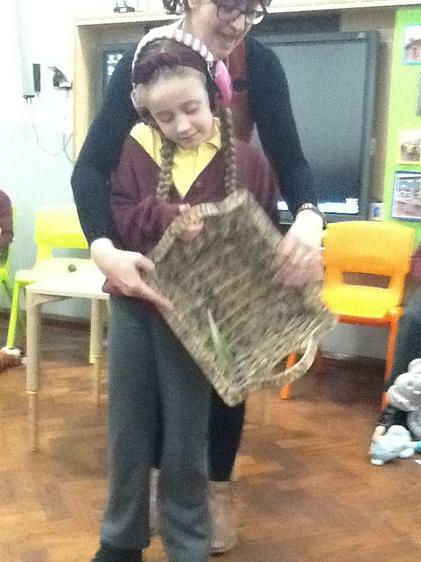 A lovely yoga brain break with Jaime from Cosmic Kids. Yoga through the rainbow! Each colour gives you a new level of confidence. Download our FREE WALLCHART for this series! 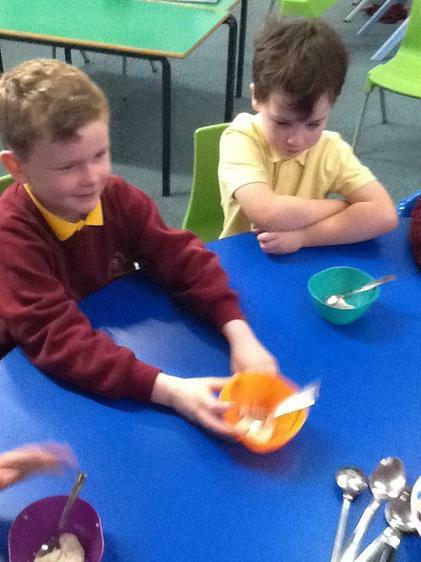 Tasting Porridge just like Goldilocks. We are not sure why the three bears like it so much..! 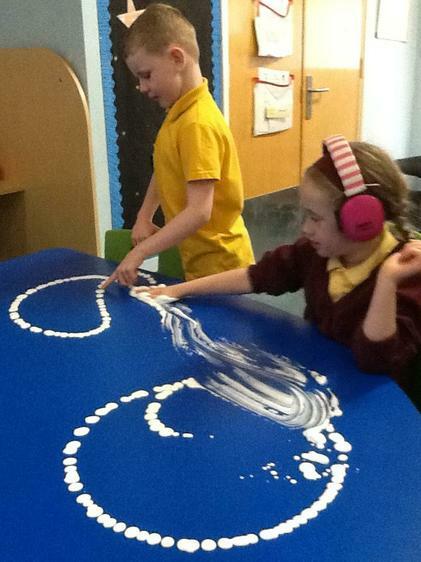 Sensory Mark Making with Shaving foam. 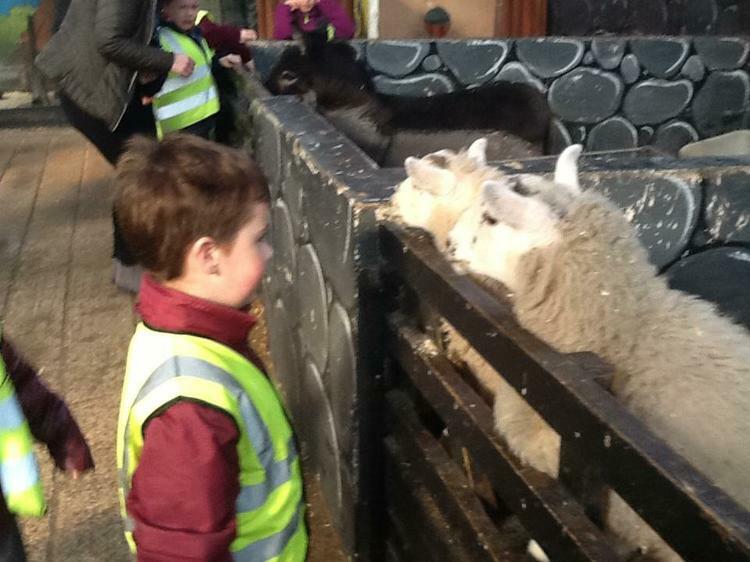 Only 3 weeks left of the Autumn Term and we are still very busy. Literacy - Goldilocks and the Three Bears - looking at the story setting of the cottage in the words and the characters in the story. 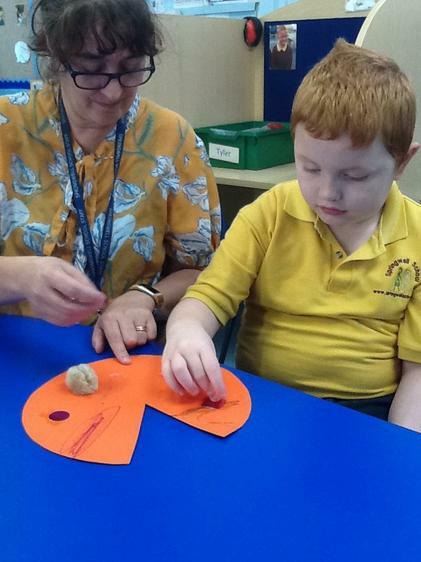 Letters and Sounds - developing our listening and attention skills, plus the letter c and qu along with spelling and reading words and developing our communication skills. 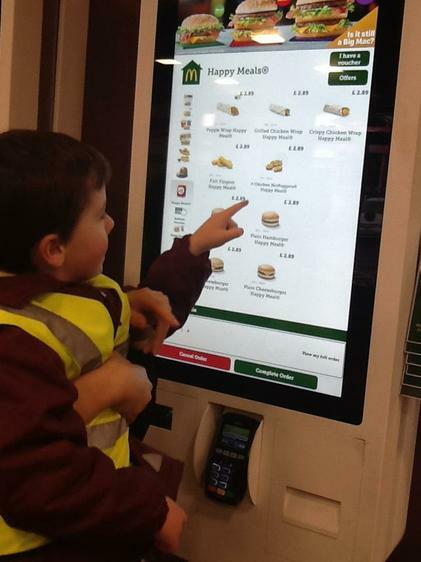 Maths - Money, recognising coins, adding coins and enjoying number rhymes - 5 Currant Buns. History - Florence Nightingale and looking at nurses in the past. 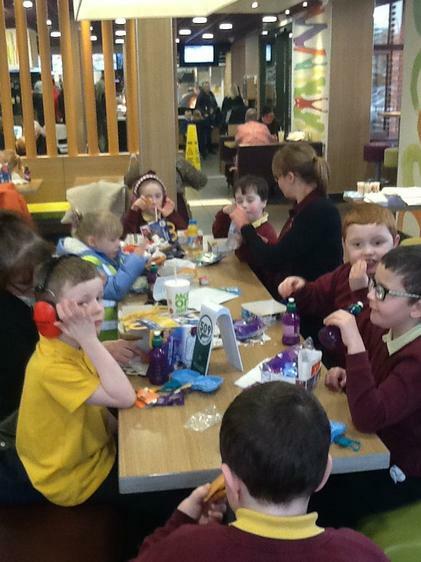 Bus - Trip to supermarket to buy some things for class linked to our maths work. Science - Matching animals and their babies.